Abstract The purpose of this paper is to examine how disclosure of employee issues by a large UK bank (the NatWest) may or may not promote transparency and accountability (as assessed by the completeness of the account with respect to material issues) toward the employee stakeholder group, and to shed light on the implications of the organisation-society relationship for employee accountability. The intrinsic stakeholder framework forms the basis of the qualitative, longitudinal analysis. It is adopted as the moral ground for the provision of a “complete” account of employee issues. In seeking to shed light on the organisation-society relationship and its implications for reporting on employee issues the authors build a broader theoretical framework incorporating various social and political theories dealing with legitimacy, political economy, and language and rhetoric. Interpretive and critical approaches are employed. The analysis draws on an extensive review of published materials relating to employment in the UK retail banking industry and NatWest in particular, impacts of workplace changes occurring in the banking sector, and to the economic, social and political environment over the period of the study. The findings indicate that what and how NatWest reported on employee issues was influenced by considerations other than transparency and employee accountability. The analysis highlights the complexity of the role of disclosures in the organisation-society relationship and consequently the limitations of the use of a single theoretical framework to interpret disclosures. Reporting practices are found to be issue and context dependent. This study contributes to the corporate social reporting literature by extending the analysis beyond the firm focused stakeholder management perspective to considering disclosures from a moral perspective and the extent to which the complex organisation-society relationship might work against the promotion of transparency and accountability toward stakeholders (specifically employees). In this way, through an in-depth longitudinal analysis of disclosures from multiple perspectives, the paper contributes to theorising of the role of social disclosure in the organisation-society relationship. 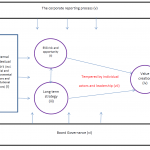 A growing body of literature devotes attention to corporate social accounting and reporting issues, however, many of the approaches taken or proposed have been criticised. Tinker et al. (1991) encapsulate the essence of many of these critiques, suggesting that many approaches do little to alter the way business operations are conducted. Summarising his assessment of corporate social disclosure research that has employed legitimacy theory as its main interpretive focus, Owen (2008) recently offered this comment: “All too often we are simply offered plausible interpretations of managerial motivations for disclosure with no attention paid as to how such disclosure may, or may not, promote transparency and accountability towards non-capital provider stakeholder groups” (p. 248). Further, many studies adopt a historical and uncontextualised perspectives. Walker (2008), for instance, reviewed the accounting history content of the articles in Accounting, Auditing & Accountability Journal (AAAJ), and commented on the gap in the literature with regard to historical studies of corporate social disclosure (see also Gray et al., 1995). This paper attempts to address these issues through an analysis of the annual report disclosures of a large UK bank, the National Westminster Bank (NatWest). The study covers the period 1980 to 1995 – a similar time period to that of Gray et al.‘s (1995) longitudinal study of social disclosures within UK corporate annual reports. Gray et al. considered all social disclosures as a broad category of reporting, whereas in addressing the issue raised by Owen, the present study focuses on disclosures concerning employees. To date, there has been little consideration of this area in the academic accounting literature. With the exception of Adams and Harte (1998) and Adams and McPhail (2004), who investigated corporate reporting on issues related to female and ethnic minority employment respectively, there is a notable lack of in-depth longitudinal studies examining employee reporting, and importantly in the context of accountability, the relation between corporate reporting on employee issues and employee issues. This lacuna persists despite wide acceptance that employees are a key stakeholder group (Freeman, 1984; Donaldson and Preston, 1995; Institute of Social and Ethical AccountAbility (1999); Global Reporting Initiative (2006); Commission of the European Communities, 2001; Organisation for Economic Co-operation and Development (OECD), 2004), and recognition of the importance of Human Capital Management to the overall success of the organisation (Berman et al., 1999; Pfeffer, 1984; Jones, 1995). This study addresses this gap. Through an in-depth analysis of NatWest’s employee disclosures over a 15 year period this paper aims to contribute to our knowledge of how corporate disclosure may, or may not, promote transparency and accountability towards employees. The analysis includes a detailed examination of what and how NatWest reported in relation to significant employee issues surrounding workplace changes, and a comparison of NatWest’s disclosure of employee issues with evidence gathered from other sources. We should point out that while our focus is on NatWest we are not suggesting that the issues and problems identified are specific to NatWest. In focussing on the moral obligations that managers have with regard to employee accountability our concern is with the completeness of the account. We draw on the principles of stakeholder accountability identified in the AA1000 Standard (Institute of Social and Ethical AccountAbility (ISEA), 2008a): “inclusivity”, “responsiveness”, and “materiality”, necessary to the “completeness” of the account. The intrinsic stakeholder framework (Evan and Freeman, 1988; Donaldson and Preston, 1995; Handy, 1998; CSRwire, 2009 ) is adopted as the moral ground for providing “complete” accounts about employee related issues, and as the frame for exploring the potential for “alternative accounts” (Jones and Wicks, 1999, p. 209) to those currently provided, that may better satisfy transparency and accountability. Although the paper adopts a primarily moral/ethical stance with regard to the justification for employee disclosures, we also briefly consider how a lack of accountability towards, and engagement with, this key stakeholder group may lead to unsatisfactory outcomes for companies. The view that employees have legitimate rights that managers should take into account, and be held accountable for, is a normative one. It is not one that companies will necessarily accept, adopt voluntarily, or behave in accordance with. Indeed, our findings revealed a lack of transparency and accountability with regard to employee issues. Hence, while the moral stakeholder perspective was valuable in considering how employee issues ought to be disclosed in order to improve transparency and accountability to employees and society generally, and the lack of accountability to and for employees, it had limited usefulness in terms of explaining what was or was not disclosed. If the purpose of scholars in the field is to improve corporate responsibility to stakeholders, both in terms of performance and accountability, it is essential that our theorising helps us to both critique existing practice and understand the potential for improved practice. Hence we build on our moral accountability framework, incorporating theories of organisational legitimacy (Dowling and Pfeffer, 1975; Ashforth and Gibbs, 1990; Lindblom, 2004) and political economy (Guthrie and Parker, 1990; Gray et al., 1995; Tinker and Neimark, 1987) which, while overlapping with stakeholder theory, offer different perspectives on the role of social disclosure in the context of the organisation-society relationship. Aided by an analysis of language and rhetoric we sought to discover the extent to which these perspectives helped explain or were supported by employee disclosures, and their implications for employee accountability. A better understanding of the role that disclosures play in the organisation-society relationship can provide a basis for recommendations for improving corporate responsibility and accountability to employees. In exposing influences and structures which negatively impact on the employee accountability process our aim is to promote change within organisations and in society generally. The remainder of the paper is organised as follows. In the next section we discuss social disclosure research which considered stakeholder accountability generally or employee disclosure specifically. We then discuss the frameworks adopted and approaches taken in the analysis, followed by a discussion of the method adopted in the paper, and the economic, social and political context of UK retail banking over the study period. This is followed by our analysis of the employee disclosures in the context of other evidence of employee issues and the political, economic and social context. We conclude with a discussion of the implications of our analysis, and some recommendations. An examination of prior research reveals a gap in our understanding of how disclosures generally, and employee (human resource) disclosures specifically, promote transparency and accountability to stakeholders. The growing emphasis on corporate social responsibility and reporting has prompted a number of studies investigating the nature and extent of corporate social reporting. While human resource disclosures were found to be a significant disclosure category (Roberts, 1991; Adams et al., 1998; Douglas et al., 2004; Guthrie and Matthews, 1985; Foo and Tan, 1988;Andrew et al., 1989; Zeghal and Ahmed, 1990; Gray et al., 1995; Hackston and Milne, 1996; Tsang, 1998; Ratanajongkol et al., 2006; Branco and Rodrigues, 2006), the extent of disclosure appeared to differ across industry sectors (Tsang, 1998; Ratanajongkol et al., 2006) suggesting context is important. Disclosure patterns across different countries have also been investigated. While Roberts (1991) concluded that employee related disclosure “tends to exhibit country-specific patterns, suggesting that such information may be provided in response to country-specific pressures” (p. 69) these pressures were not explored. Adams et al. (1998) examined the relationship between social reporting practices across Western Europe and the factors of size, industry and country. They found human resources information was both industry and country dependent, and suggested that this may have been a consequence of specific social and political factors. Social and political context was also found to be relevant in explaining human resource disclosure themes (Gray et al., 1995; Tsang, 1998; Ratanajongkol et al., 2006), and disclosures relating to women (Adams and Harte, 1998) and ethnic minorities (Adams and McPhail, 2004). These studies highlight the importance of analysing employee disclosures in the broader political, social and economic context as we have done in this study. Notably, while the above studies indicate that human resources are an important disclosure category, and that disclosure may be influenced by various social, political economic factors, they generally do not, with the exception of Adams and Harte (1998), consider whether such disclosures themselves promote transparency and accountability. This is the focus of our study. Researchers who considered whether social disclosures promote stakeholder accountability formed conflicting views. Ratanajongkol et al. (2006) concluded that corporate social reporting across industry sectors showed a “concurrence with the view of accountability to stakeholders” (p. 80) since the key themes of disclosure reflected the key areas of exposure of the particular industry sectors. However, the study did not consider the completeness of disclosure within those themes. Hooks et al. (2002) studied the disclosures in the annual reports of NZ electrical companies and reported that many items were not adequately disclosed, resulting in an information gap between stakeholders’ expectations and the disclosures provided. Further, in comparing the reporting of company Alpha with the portrayal of that company’s performance in sources external to the company, Adams (2004) found the different coverage in external sources indicated a lack of completeness of reporting and a low level of accountability to key stakeholder groups (including employees). While these studies cast some doubt over whether company disclosures promote transparency and accountability to stakeholders they reveal little about accountability to and for the employee group specifically. With regard to accountability to and for employees specifically, Vuontisjarvi (2006) looked at employee disclosure by 205 of the largest Finnish companies and concluded that social reporting practices were still at an early stage of development. However, concern was expressed at the lack of disclosure on themes such as equal opportunity, employee work-life balance and integration of disadvantaged groups in the labour market. Further, “sensitive areas like redundancies were largely ignored or reported with an evasive tone, stressing cost-efficiency of the operations and the subsequent profits acquired by the company of such measures” (Vuontisjarvi, 2006, p. 344). Day and Woodward (2004) looked not only at the extent of compliance of FTSE 100 companies with the UK Companies Act (1985) employee disclosure requirements, but also considered the extent to which disclosures went beyond the requirements of the Act. They concluded that the reports indicated a disregard for the statutory disclosures and where disclosures were made “they often appear to lack any conviction, adhering only to threshold compliance” (p. 43). The findings of Day and Woodward (2004) and Vuontisjarvi (2006) are supported by the non-disclosure findings of Adams and Harte (1998). These studies suggest a lack of transparency and accountability in reporting to and for employees. However, with the exception of Adams and Harte (1998) there is a dearth of contextualised, in-depth longitudinal studies which consider employee disclosure and accountability. Such an analysis is necessary to an assessment of completeness of disclosure and to the development of an understanding of employee disclosures given potential social, political and economic influences. This is a gap that our study addresses. Drawing on an understanding that managers have a moral responsibility to protect and promote the rights of various organisational stakeholders, and that the interests of those stakeholders should be incorporated into an organisation’s purpose, its policies and practices (Evan and Freeman, 1988; Donaldson and Preston, 1995; Handy, 1998; King, 2002; CSRwire, 2009; Institute of Social and Ethical AccountAbility, 2008a; Global Reporting Initiative, 2006), an “intrinsic” stakeholder approach is adopted in the study. It follows, then, that the study builds on the premise that corporations have a moral responsibility to take account of the interests of employees (as a significant stakeholder group) and that the organisation is accountable both to employees and to wider society with regard to their discharge of that responsibility. Employees are recognised as organisational stakeholders in that they can affect or are affected by the achievement of an organisation’s objectives (Freeman, 1984; Evan and Freeman, 1988; Jones, 1995; Solomon, 1992, 1993). Employees “have made a much greater investment by their years of service, may have much less ability to withdraw, and may have a greater stake in the future of the enterprise than many of its stockholders” (Summers, 1982, p. 170; see also Donaldson and Preston, 1995). Further, employees have been officially recognised in legislation, such as occupational health and safety, and equal opportunity legislation, as significant and legitimate stakeholders of business. The rights of employees to consultation and involvement in the decisions that substantially affect them have been advanced on moral grounds (Solomon, 1993; Bowie, 1999; European Commission, 2002; King, 2002), and the accountability of companies in relation to those responsibilities, has been recognised (UK Companies Act, 1985; UK Employment Relations Act 1999; UK Trade Union and Labour Relations (Consolidation) Act 1992; UK Transfer of Undertakings (Protection of Employment) Regulations 2006; European Commission, 2002 ). This suggests a movement toward the formal (implicit) recognition within the legal framework of the moral position advocated in this paper, via the intrinsic stakeholder framework, and provides support for the intrinsic stakeholder perspective. As discussed below AccountAbility (formerly ISEA) has implicitly extended the formal recognition of the intrinsic stakeholder perspective into the accounting arena. In examining the process of accountability with regard to accountability to employees and for employee interests, the study draws on four core theoretical resources. First, stakeholder theory underlies our overall approach because it draws attention to the multiple organisational stakeholders that must be addressed for an organisation to be regarded as accountable. The intrinsic approach to stakeholder theory allows us to both identify employees as a key stakeholder group and move from a “business case” (Unerman and O’Dwyer, 2007; Ullmann, 1985; Roberts, 1992; Jones, 1995) for employee reporting to a “moral case”. Theories of political economy, legitimacy, and language and rhetoric are employed in seeking to develop a better understanding of how the relationship between the organisation and society may impact on employee accountability. The stakeholder, organisational legitimacy and “bourgeois” (Gray et al., 1995) political economy theory all assume a pluralist society, a society in which autonomous but interdependent groups either share power or continuously compete for power. It is assumed that the competing interests of various societal/stakeholder groups can be balanced or accommodated. While this view may contribute valuable insights into the role played by social disclosures it ignores unequal power relations which may exist in society, in particular between capital and labour, which may impact on disclosures. Hence we adopt Marxist political economy in our analysis. The ways in which these theoretical resources frame the study and our analysis are outlined below. In general, the stakeholder concept allows consideration of a company’s social responsibilities in terms of specific stakeholders, commonly defined as individuals or groups that are affected by and/or can affect a company’s decisions and actions (Freeman, 1984, Evan and Freeman, 1988). It allows for the extension, below, to the idea of an intrinsic stakeholder concept. The intrinsic stakeholder perspective regards stakeholding “as a moral matter of social conscience […]” (Stoney and Winstanley, 2001, p. 607). Such a moral position may be based on different theories (such as various ethical theories), principles (such as political principles including democracy), broad concepts of fairness and social justice, or particular imperatives (such as various “duties”) (Stoney and Winstanley, 2001). While Freeman (1984) proposed stakeholding as a means to an end – company survival – “he later recognised the emerging importance of ethics in business and argued that it is not possible to deal with them in isolation” (Enquist et al., 2006; see also Freeman, 1994). Freeman et al. (2004) argued: “values are necessarily and explicitly a part of doing business” (p. 364). The Kantian ethical principle that all persons have a right to be treated as ends in themselves, and not merely as means to ends, was the basis of the stakeholder concept proposed by Evan and Freeman (1988) (see also Donaldson and Preston, 1995; Bowie, 1991). This was in response to “legal, economic, political and moral challenges to the view that managers must manage a corporation for the benefit of shareholders” (Evan and Freeman, 1988, p. 97). They argued that a Kantian respect for individuals means that all stakeholders are entitled to participate, in some sense, in decisions that substantially affect their welfare (Evan and Freeman, 1988). On a practical level, as it is impossible for management to consult with stakeholders on every decision, management has an obligation to “represent” the interests of all stakeholders in the business’s decision making process (Evan and Freeman, 1988). This sort of stakeholder “‘[i]nclusiveness’ has become synonymous with stakeholding” itself (Stoney and Winstanley, 2001, p. 608). For Bowie (1991) inclusiveness related to the moral relations between stakeholders, best captured by Kant’s view of a corporation as a moral community (see also Solomon, 1992, 1993) “in which all of the stakeholders would both create the rules that govern them and be bound to one another by these same rules” (Bowie, 1991, p. 61; see also Freeman et al., 2004). An (implicit) intrinsic stakeholder approach to accountability is adopted by AccountAbility in the AA1000 series (ISEA, 1999, 2008a). These are principles-based standards, developed using a broad-based, multi-stakeholder process, for helping organisations become more accountable, responsible and sustainable. The AA 1000 AccountAbility Principles Standard (ISEA, 2008c) identifies three principles of accountability: inclusivity, materiality, and responsiveness. “Inclusivity” requires that an organisation actively engage with its stakeholders; it is the organisation enabling stakeholders to participate in the decision making process (ISEA, 2008c). It includes an organisation’s commitment to consider and coherently respond (whether negatively or positively) to the needs and concerns of stakeholders in its decisions, policies and practices, and to provide an account to stakeholders of its decisions, policies, practices, actions and performance (ISEA, 2008b; see also CSRwire, 2009). Stakeholder inclusivity is assessed by considering “whether their voice is being heard and responded to” (Kumi Naidoo, Secretary General, CIVICUS cited in ISEA, 2008c). “Materiality” relates to “determining the relevance and significance of an issue to an organisation and its stakeholders” (ISEA, 2008c, p. 19). Stakeholder concerns are at the heart of materiality (ISEA, 2008c) and therefore require stakeholder engagement. “Responsiveness” is an organisation’s response to stakeholder; issues and is “realised through decisions, actions and performance as well as communication with stakeholders” (ISEA, 2008c). While not identified as a principle in the revised standard “completeness” was described as the depth and breadth to which the other principles have been achieved (ISEA, 2008c). While a substantial body of literature draws on stakeholder theory the primary focus is stakeholder management – the “business case” for stakeholding. However, Owen et al. (2001) argue: “An overwhelming concern with promoting the ‘business case’ in developing SEAAR [social and ethical accounting, auditing and reporting] together with a profound reluctance to address the issue of corporate governance largely removes any potential for enhancing the accountability and transparency of powerful economic organisations” (Owen et al., 2001, p. 264). Adoption of a moral stakeholder perspective helps to address these concerns. The intrinsic stakeholder framework, with its moral focus, frames the analysis of the completeness of accounts, and the discussion of how employee issues ought to be reported in order that disclosures may better satisfy transparency and accountability. As indicated earlier, disclosure studies have indicated a lack of completeness in reporting to stakeholders (Hooks et al., 2002; Adams, 2004; Day and Woodward, 2004; Vuontisjarvi, 2006; Adams and Harte, 1998). In analysing whether employee disclosures promote transparency and accountability we draw on the AccountAbility principles. “Legitimacy does not imply that the judgement of the larger social system […] must be consensual or universal in nature. Indeed such a universal consensus may be an impossibility. The assessment of legitimacy is done at the individual level and the individuals form various stakeholder relationships with the corporation and may usefully be referred to as the “relevant publics” […] To the extent corporate performance does not reflect the expectations of the relevant publics a legitimacy gap exists” (p. 2). Legitimacy, therefore, may be viewed in terms of an organisation’s relationships with various competing stakeholder groups with conflicting interests. It is likely then that an organisation will be faced with different legitimacies. Educate and inform in order to change perceptions. Disclosure, therefore, may be used to educate and inform an organisation’s stakeholders as to the appropriateness of its “output, methods and goals” (Lindblom, 2004, p. 14). Manipulate stakeholder perceptions, for example disclosure may be employed to identify the issue in question with other actors, values (such as rational efficiency) or symbols that have legitimacy status (Dowling and Pfeffer, 1975; Ashforth and Gibbs, 1990; Lindblom, 2004), “deflecting attention from the issue of concern” (Gray et al., 1995, p. 54). Perceptions may also be manipulated through non-disclosure, through the suppression of information regarding activities or outcomes likely to undermine legitimacy (Ashforth and Gibbs, 1990). Change stakeholder expectations to be more in line with performance (Lindblom, 2004), for example, disclosure may be employed in recasting the meaning of ends or means (Ashforth and Gibbs, 1990) as part of a strategy to change stakeholder expectations. Whatever strategy management adopt the aim is to influence the behaviour of relevant stakeholder groups by persuading them that the organisation is meeting their expectations, or in the words of Ashforth and Gibbs (1990): “To foster the belief among constituents that the organization’s activities and ends are congruent with the expectations, values, and norms of constituents” (p. 182). There is an assumption that management can balance or accommodate the conflicting expectations and different levels of influence of stakeholder groups. As significant changes affected NatWest over the period of this study it increasingly focussed on cost cutting and profitability and instigated changes which negatively impacted on employees and had a considerable social cost. Whatever NatWest’s pre-existing status, from a legitimacy perspective, these events would indicate the likelihood of challenges to the bank’s legitimacy, or at the very least, that the bank’s legitimacy might be called into question by some stakeholder groups. We therefore, examine the extent to which employee disclosures appear to have been used to persuade employees and/or other stakeholders of the legitimacy of NatWest’s actions in relation to employees (and what those legitimacies might be), and to manage the potentially divergent legitimacies of employees and other stakeholders. Of the many studies which have employed legitimacy theory to explain corporate social disclosure, principally environmental disclosures, most found some support for its explanatory power (O’Dwyer, 2002). Exceptions include Guthrie and Parker (1989). With regard to financial institutions specifically, Branco and Rodrigues (2006) and Hamid (2004) concluded that legitimacy theory may be an explanation of social responsibility disclosure by Portuguese banks and Malaysian banks and finance companies respectively. Notably, the majority of these studies relied on content analysis. In-depth, longitudinal studies have found a legitimacy theory explanation inadequate. Adams and Harte (1998) and Adams and McPhail (2004) found that the (non)disclosure decision was too complex to support legitimacy theory and that disclosure patterns over time reflected changes in the broader social, political and economic context. Further, the assumption of legitimacy theory that “the views of a reasonably unified and pluralistic society shape the activities of the organisation” (Deegan, 2006, p. 168), may be problematic due to “competing or fractionalised social values” (Neu et al., 1998, p. 266; see also Ashforth and Gibbs, 1990; Rahaman et al., 2004). These observations suggest that legitimacy should be supplemented with political economy theory that allows consideration of broader societal issues that impact on how an organisation operates, and what and how it reports. Gray et al. (1995) employed a framework incorporating stakeholder management, legitimacy, and political economy. Notably, they concluded that while Marxian political economy perspectives offered important interpretations of social disclosures, significant trends in their study data, while not conflicting with such perspectives, were better understood from an organisational legitimacy theory and stakeholder (management) theory perspective. “A pluralist view seems to ignore a substantial volume of evidence that presents alternative views of society. One alternative view suggests that the mass of people in society are controlled by a well defined elite […] A second alternative view is that there is a continuing conflict in society between essentially antagonistic classes […] Instead of assuming a basic harmony of interests in society which permits an unproblematic view of the social value of accounting reports, a political economy of accounting would treat value as essentially contested, with accounting reports operating in specific interests (e.g. of elites or classes). The way these reports might operate include mystification and legitimation” (Cooper and Sherer, 1984, p. 218). We draw on Marx’s theory of class structure which relates to the means of production which Marx called the relations of production. For Marx under the capitalist mode of production the working class or “proletariat” is subordinated to the capitalist class or “bourgeois” in that the property-less worker has to sell him or herself into “servitude” in return for a wage. This causes conflictual relations of production. The workers are nothing more than a factor of production, a commodity, which is exploited in the process of accumulation of wealth for those who control the means of production – the capitalists. Importantly, according to Marx it is the economic base of society which determines the political, legal, cultural, and other institutions in society, which then reinforce the economic base. A Marxist perspective, therefore, would view society’s institutions as controlled by the capitalist class. From this perspective disclosures are generally viewed as part of a strategy to protect and advance the interests of the capitalist system and, therefore, the capitalist class. The strategy may be to deflect “negative economic consequences (to capital) of structural conflict inherent in the capitalist system by, for example, encouraging governments to reduce regulation and workers to work harder” (Unerman, 2002, p. 5). Researchers adopting a political economy approach grounded in social conflict are concerned with how accounting or corporate reports are used “to mediate, suppress, mystify and transform social conflict” (Tinker and Neimark, 1987, p. 72; see also Tinker et al., 1991; Neimark, 1992). Recognising power and conflict they are, or “should be” (Cooper and Sherer, 1984, p. 218), concerned with the role and effects of reports on the distribution of income, wealth and power in society. For example, from their study of the annual reports of General Motors Tinker and Neimark (1987)concluded that corporate reports “play a part in forming the world-view or social ideology that fashions and legitimizes women’s place in society” (p. 72). They linked this role to capital accumulation, arguing that the reports “were deployed as ideological weapons aimed at influencing the distribution of income and wealth, in order to ensure the company’s continued profitability and growth” (p. 72). While Adams and Harte (1998) also concluded that “both in their choice of disclosures […] and in their silence, corporate managers have contributed to social perceptions of women and employment” (p. 807), they found the influence of patriarchy to be stronger than the influence of capitalism in explaining women’s employment and reporting thereon. Further, Crompton (1987) concluded that Tinker and Neimark overemphasised the importance of class, and played down the importance of patriarchy as the explanation for the position of women. While Adams and McPhail (2004) found that reporting on ethnic minorities could be explained in part as reflecting the broader socio-political context, they concluded that disclosures did not support a class explanation but did support theories of patriarchy and the “politics of difference”. Political economy allows us to widen the focus of analysis. It provides a framework within which we can examine whether employee disclosures appear to be promoting, sustaining or legitimising political, economic or other institutions or ideologies and attempting to mediate and accommodate various stakeholders, and/or part of a strategy to protect and advance the interests of the capitalist system and, therefore, the capitalist class. Given the abovementioned research findings the influence of patriarchy on employment and reporting thereon is also considered. However, as minority groups were not identified as a key issue in this study the politics of difference explanation was not considered. “Corporations seek to establish and modify relationships by influencing stakeholder beliefs, values, expectations and needs. Corporate rhetorical success is reflected in enhanced reputation and respectability, which in turn has significant economic consequences. To achieve these ends, corporations expend considerable effort on communication to educate, entertain and inform their stakeholders. Yet, scholars have generally neglected to study the role of rhetoric and language in public relations” (p. 249). Persuasion through language is a means to legitimacy (Aerts, 1994). Carefully selected information can help a company support its actions, and claims of accountability (Buhr, 1998; Abrahamson and Park, 1994; Barr et al., 1992; Bowman, 1976). Being silent on particular issues is another rhetorical strategy which may be used by a company to persuade others of its legitimacy. Minocha (2009), like Dhir, recognised the importance of studying the role of language, calling for a language-based methodology in studies applying legitimacy theory, to supplement the “law” like content analysis studies counting numbers or words. Language may also be a medium for sustaining or legitimising political and economic arrangements and ideologies, and/or structural inequity. A number of researchers have examined the use of language and rhetoric in an accounting context (Klamer and McCloskey, 1991; Caruthers and Espeland, 1991; Mouck, 1992; Young, 2003; Craig and Amernic, 2004), however, while rhetoric has been found to be a powerful element in persuading others to accept a particular viewpoint (Young, 2003; Craig and Amernic, 2004; Boje et al., 2006), few researchers have examined how language or rhetoric is used in corporate reports. Exceptions include Aerts (1994), Thomas (1997), Jameson (2000), and Livesey (2002). An analysis of language and rhetoric helps reveal whether, and if so what, strategies have been employed by NatWest to persuade stakeholders of a particular reality in relation to employee related issues. It helps to reveal which stakeholders’ interests are being addressed, whether specific interests are being served, and/or what is being legitimised. Intrinsic stakeholder theory provides the moral ground for reporting on and to employees. It frames our analysis of what should be reported and the extent to which the account is complete. Given this moral imperative, and our findings of a significant lack of accountability, we build a broader framework of social and political theories in seeking to understand how the organisation-society relationship might work against the promotion of transparency and accountability toward employees. Stakeholder and legitimacy theories developed around the idea that organisations are social institutions with social responsibilities, the implicit agreement being that in return for society’s support organisations will operate within the norms and values of society (Shocker and Sethi, 1974; Donaldson and Preston, 1995). Stakeholder theory allows consideration of a company’s social responsibilities in terms of specific stakeholders and is used in this study to view disclosures from the perspective of the employee stakeholder group. Legitimacy theory, on the other hand, provides a frame for viewing disclosures from the perspective of management who are concerned with the continued success of the organisation. It is used to consider whether disclosures can be explained as a mechanism employed by management to influence the perceptions of stakeholder groups of the legitimacy of the organisation’s actions in relation to employees. Also at the organisation-stakeholder level of analysis political economy provides a frame for viewing disclosures as a product of the economic, political and social environment and an attempt to balance the interests of various stakeholder groups. Dropping the assumption of a pluralistic world we extend our analysis to a macro level, drawing on Marxist political economy to consider whether what and how NatWest chose to report on significant employee issues served to promote the interests of the capital class at the expense of labour. Finally, language and rhetoric are at the heart of the analysis of the role played by disclosures. A discussion of the philosophical assumptions underlying the research is important to the justification of the framework. An interpretive approach, which assumes reality is socially constructed and sustained, is used in the interpretation and reconstruction of accounts through the lenses of legitimacy and intrinsic stakeholder theory. Constructivism “is the view that all knowledge, and therefore all meaningful reality as such, is contingent upon human practices, being constructed in and out of interaction between human beings and their world, and developed and transmitted within an essentially social context” (Crotty, 1998, p. 42). Meaning is socially constructed in the sense that individuals are born into a system of intelligibility, a system of culture, of social institutions, and make sense of the world through it. Socially constructed meanings and norms may be contested, refined and modified over time and need to be interpreted in their social context. From this perspective accounts are social constructs, used to construct relationships, not objective truths. Accountability is a socially constructed and contested concept. This is illustrated by the debate over whether a company’s accountability is limited to its shareholders or extends to other stakeholders, the latter being the view adopted by AccountAbility. Its “socially constructed” concept of accountability is the basis of this study. Legitimacy too is socially constructed. “[I]t reflects a congruence between the behaviours of the legitimated entity and the shared (or assumedly shared) beliefs of some social group” (Suchman, 1995, p. 574). Like accountability legitimacy has to be interpreted in its social context. The researcher is part of the constructed meaning. The longitudinal in-depth qualitative study of the accounts of NatWest is consistent with an interpretive approach which “looks for culturally derived and historically situated interpretations of the social life-world” (Crotty, 1998, p. 67). We interpret and reconstruct NatWest’s accounts of employee issues using constructions of accountability and legitimacy. We seek to interpret and understand how legitimacy is negotiated through the accounts and particularly through language. We also interpret disclosures in their economic-social-political context. As Chua (1986) argued in relation to mainstream accounting research the philosophical assumptions underlying interpretive research “offer certain insights but obscure others” (p. 626). By changing the assumptions new insights into the role played by disclosures may be gained. A critical approach, using political economy as the lens, extends the interpretive work, adding an evaluative dimension. In adopting a critical approach it is assumed that dominant ideological practices and discourses socially construct our vision of reality; that “individuals internalise and accept dominant values that reproduce an unequal society” (Baxter and Chua, 2003, p. 100). As this social reality is historically grounded the historical in-depth case study method used in this study is appropriate. Critical research has a moral imperative which is consistent with the overall approach of this study. The aim of critical research is critique and transformation of conventional social structures “which constrain and exploit humankind” (Guba and Lincoln, 1994, p. 113). 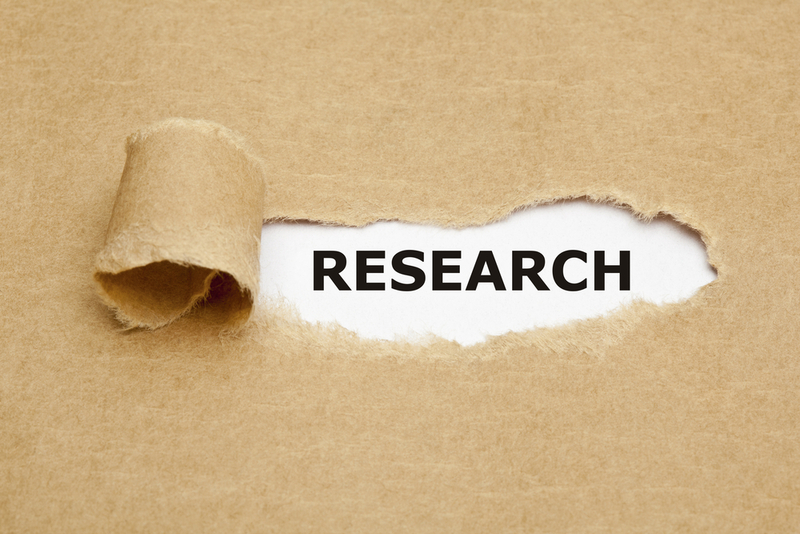 As with interpretive research it is assumed that research findings are influenced by the researcher, in critical research the researcher’s values. Taking a critical perspective, accounts are assumed to reflect the prevailing power structures or culture of oppression, for example values embedded in accounting and accounts, which emphasise the financial over other non-financial values, may serve to promote the interests of capital over other interests. Language may be a medium for repression and power. In adopting a critical approach we seek to bring about change within organisations, in particular, and society, in general, through exposing the use of accounts, and language within those accounts, to oppress and/or exploit employees. Given the relative paucity of extant knowledge about employee reporting, the present study seeks to develop in-depth understanding into corporate reporting on significant employee issues. In seeking depth of knowledge the aim is not to make generalisations, therefore a single case study is undertaken to produce “insight” into the area of key interest (Gerring, 2007, p. 7). Recognising that corporate practices may vary significantly from company to company, especially in emergent and relatively unregulated areas, in-depth analysis of a single company is an appropriate approach (Adams, 2004). In order to develop an understanding of reporting on employee issues in the context of a period of social, political and economic change the longitudinal case study approach was used. Following Adams and Roberts (1995) and Adams and Harte (1998) this paper focuses on the disclosures in the corporate annual report. Our acceptance of the importance of the annual report as a means of discharging of accountability of the organisation towards its stakeholders is based on the recognition that it is an important corporate communication device and, particularly in the case of listed companies, is made widely available (Adams and Harte, 1998; Buhr, 1998; Goodman, 1980). Whilst today, an increased variety of disclosure media, including, in particular, the internet, are providing organisations with opportunities to reach a greater audience, over the period of study this was largely the province of the annual report. The study analyses disclosures in the annual reports of the UK bank NatWest for the period 1980 to 1995. Data gathered from annual report disclosures for higher profile, and higher employment, companies in the UK banking and retail sectors for the period 1950 to 1995 indicated minimal and haphazard employee disclosure prior to 1980. However, the data revealed a comparatively high level of employee disclosures in the NatWest reports, and increased disclosure with respect to employees from 1980 onwards. NatWest, therefore, offered some potential for analysis. Further, NatWest was a high profile, high employment, high street bank, and as banks traditionally regarded themselves as having responsibility to the wider community, there was an expectation of accountability. A preliminary reading of the NatWest annual reports revealed that retail banking in the UK experienced considerable changes during the 1980s and 1990s which had a significant impact on employees. This was confirmed by a preliminary investigation of literature on changes in the UK banking sector, and their impacts, over the period. The rapidly changing workplace and the economic, social and political environment of this period (discussed in the next section), provided a rich context in which to consider employee issues or interests, and for assessing employee accountability. Documentary analysis was used to categorise and analyse the employee information reported in the annual reports of NatWest over the period 1980 to 1995. Quantitative metrics and methods have not been employed nor are they considered relevant, as the analysis relates to the reports of a single company and focuses on “what” story, and “how” that story, was told in the reports. The reports were carefully scrutinised, line by line, page by page, to identify disclosures which referred to social responsibility; employees; changes, policies or actions which impacted on employees; and for contextual information. Copies were taken of relevant disclosures. An extensive review of newspaper articles, books, academic articles, and banking association and union materials relating to employment in the retail banking industry in the UK over the period of the study, and impacts of changes occurring in the banking sector on employees, was undertaken. From this review, and a review of NatWest disclosures, key employee issues in the sector over the period of the study were identified. These issues were chosen on the basis of the emphasis given, or frequency with which they were discussed, in the literature reviewed and in the NatWest reports; the emphasis given, or frequency with which they were discussed, in the literature reviewed but not disclosed in the NatWest reports; and/or on the basis of the review the assessed significance of the issue for NatWest employees. The following categories were selected as reflecting the key issues: technology and branch rationalisation; redundancies; staff training and career prospects; mode of employment; and, staff participation and rewards. What and how NatWest reported on the key issues identified was then compared to other evidence gathered from the sources identified above and analysed using the theoretical framework developed above. The adoption of political economy makes it particularly important to look at the political/economic/social context of the phenomenon examined in the study. The period of our study follows the year of the election in the UK of a radical Conservative government led by Margaret Thatcher who was determined to halt the economic decline in Britain. Interest rates were increased, to 17 per cent in 1979, in an effort to lower inflation (Reitan, 2003). Neoliberal and market-based policies introduced by the government contributed to a deepening of the recession, initially, and increases in unemployment (Evans, 1997, Broadberry, 1994, Reitan, 2003). Unemployment soared to 3 million in 1982 (BBC News, 1982). Deregulation, particularly of the finance industry, and privatisation, were driven by the idea that competition ensuing from free markets encouraged enterprise and efficiency and this would lead to the creation of new jobs. Thatcher’s vision was of a property owning democracy. Share ownership among workers was encouraged in order that the workforce would better understand and feel a “heightened sense of pride in British business” (Francis, 2010), and, assumedly as part of a strategy to increase productivity, to shift allegiance from “labour” to “capital”. Increased public property ownership and rising share and property prices led to a growing demand for credit, contributing to the growth in retail banking. While inflation and interest rates fell in 1982, by 1983 unemployment had more than doubled from 1978 to 3.6, some say closer to 4, million. The high level of unemployment reduced the bargaining power of workers. Further, the power of the trade unions, which had been accused of holding the country to ransom, was considerably weakened by regulation and the decline of the heavily unionised manufacturing industry. Thatcher’s strategy was to “weaken the hold on the working class of the collectivist mentality symbolised by the trade unions” (Bleaney, 1983, p. 139). Government rhetoric was of “co-operation” on the shop floor. Importantly, the Thatcher government encouraged the growth of the financial and other service sectors to replace the declining manufacturing industry. The dramatic improvement in labour productivity came largely from these sectors. By 1987 inflation was down, unemployment was falling and economic growth increasing, however, another severe recession hit the British economy at the beginning of 1990 and lasted until the end of 1992. Thatcher government policies had significant consequences for employees in the retail banking sector. The retail banking scene, traditionally, was one of order and predictability (Storey, 1995). Banks offered lifetime employment (for men), structured careers, and paternalistic welfare-oriented personnel policies – job security, on the job training, internal promotion and the management of employees on the basis that they were a “positive resource” to the business (Storey, 1995; Sinden, 1996; Morris, 1986). They promoted “shared interest and loyalty” (Storey et al., 1997, p. 25). Further, they did not regard themselves as simply in business for profit but as having responsibility to the wider community (Nevin and Davis, 1979). This was due in part to regulation which afforded the banks a measure of economic protection (Leyshon and Thrift, 1993). Bank managers were “able to dispense financial advice to their customers in a dispassionate manner and without necessarily trying to maximize the bank’s financial interest” (Morris, 1986, p. 23). Given the moral emphasis of our study we analyse NatWest’s portrayal of its social responsibility over the period of the study as deregulation, which led to increased competition and pressure to improve financial performance, and major changes in technology, contributed to significant changes in attitudes, practices and management (Howcroft, 1988; Cressey and Scott, 1992; Brubakk and Wilkinson, 1996) which negatively impacted on many employees and had significant social costs. One major change relates to the mode of employment, identified as a key employee issue. Part-time work in the banking industry increased three fold between 1977 and 1986 from 13,600 to 38,400 representing an increase from 6 to 12 per cent of the work-force (Burton, 1990). These part-time positions were filled mainly by women. The proportion of female bank employees had risen from 57 per cent in 1980 to 62 per cent by 1990 (Cressey and Scott, 1992), with an 84 per cent rise in women’s part-time employment. By 1991 part-time women as a proportion of all women employed in the banks had risen to 21 per cent from a level of 15-16 per cent between 1980 and 1990 (Cressey and Scott, 1992). Use was also made of temporary labour (Sinden, 1996). While this system afforded the banks flexibility in the rapidly changing environment it is associated with negative outcomes for this predominantly female workforce. Under Atkinson’s (1984) flexible firm model, specialised “core” workers are required to be versatile and adaptable to reflect changes in technology and other factors. The employer is willing to invest in training for this group as they provide firm specific skills whereas there is little or no incentive to invest in training for the peripheral workers as their skills are common (Atkinson and Gregory, 1986), hence promotion opportunities for this group are restricted or removed. This is argued to result in security and incorporation for the few bought at the deterioration of conditions of employment for the many (Atkinson and Gregory, 1986; Zeytinoglu, 1994; Zeytinoglu and Muteshi, 2000). There is some evidence of this model in the banking sector. A three-tiered occupational structure evolved with the clerical tier increasingly being made up of non-career, part-time workers hired for routine activity who would not require extensive or ongoing training (Burton, 1990; Storey, 1995; O’Reilly, 1994; Rajan, 1987). In 1977 clerical staff accounted for 77 per cent of employees and for purposes of national wage negotiations were divided into four grades. Half of the clerical staff, mostly women, were in the lower two grades (Committee of London Clearing Bankers, 1977; see also Crompton, 1989). Part-time jobs were largely clustered in the lowest grades (Morris, 1986; Storey et al., 1997). This trend continued. Technology and branch rationalisation, integral to the drive to remain competitive and profitable, were major contributors to the occupational structure and its consequences, particularly for women, and are identified as key employee issues in this study along with “mode of employment” and associated issues of “staff participation” and “staff training and career prospects”. Another major consequence of deregulation, increased competition and the drive to increase or maintain profits, was takeover and merger activity leading to branch closures. This and other forms of restructuring led to significant job losses, “the most dramatic and highly publicised between 1989 and 1994” (Sinden, 1996, p. 28), in a sector which had previously offered (for men) stability and a job for life. Staff numbers in the sector fell from 452,000 to 387,000 from 1991-1994 (Littlefield, 1995). Sinden (1996) argued that the advent of a national recession during the period of major restructuring by the retail banks contributed to the need for more streamlined operating procedures, but may also have made the process of “downsizing” “less painful and less dramatic” (Sinden, 1996, p. 39). Restructuring and staff cuts could be justified in the light of the need to cut back in these “difficult” times. Industrial relations was also a significant factor. The banking sector was traditionally a relatively stable industrial relations environment. There was no strong union organisation at the shop-floor/office level. Trade unionism was discouraged, or opposed (Willman et al., 1993), as it was thought by employers to be inappropriate in an industry which sought to foster high-trust employment relations and family values (Storey et al., 1997; Morris, 1986). As a way of fending off independent trade unionism banks sponsored and even instigated staff associations (Storey, 1995; O’Reilly, 1994; Morris, 1986) generally seen as employee dominated and, therefore, powerless. This situation, along with the weakened trade union movement generally, and high unemployment left workers with little power. Given the impact of redundancies on employees, the social consequences of rising unemployment, and the traditional social role of the retail banks, “redundancies” are identified as a key issue in this study. The political economy context of this case highlights the interrelatedness of the political and social with the economic. Thatcher government policies contributed to the general economic downturn, however, the retail banking sector continued to grow and prosper partly as a consequence of the increased demand for credit and high interest rates. Deregulation of the finance sector and the resulting increase in competition led to an increased emphasis on financial performance and return on capital. Changes in technology, branch closures (as a result of takeovers and mergers) and rationalisation, were aimed at cutting costs and increasing efficiency, thereby increasing profits and returns to capital, while at the same time having a significant impact on employees, particularly female employees, many of whom had little power in the workplace due to the high levels of unemployment and reduced union power, and entrenched attitudes. The political economy provides the context within which we analyse what NatWest chose to report on and to employees over the period of the study. Given the intrinsic stakeholder framework drives our study we discuss our findings firstly in relation to NatWest’s portrayal of its social responsibility, in a time of recession and high unemployment. We then analyse from an intrinsic (moral) stakeholder perspective the extent to which disclosures on significant employee issues, technology and branch rationalisation; redundancies; staff training and career prospects; mode of employment; and staff participation and rewards, promote transparency and accountability to employees and for employee interests. Disclosures are also analysed to explore the extent to which they support legitimacy and/or political economy arguments of the role of reports. “Unemployment remains a pressing problem and we have accepted the responsibility cast on large employers to do all in their power to contribute to the reduction in unemployment, especially among young people […]” (NatWest, 1981, p. 11). “With unemployment remaining a very serious feature of the economy we are pleased to maintain our involvement in many activities which contribute in some small measure to a reduction in the number of unemployed” (NatWest, 1982, pp. 24-25). “[…] high unemployment remains a deep concern to us (NatWest, 1984, p. 5). We are very conscious of our social responsibilities […] once again we have been active in schemes designed to help alleviate the problems of unemployment” (NatWest, 1984, p. 8-16). Genuine concern for unemployment was not supported by NatWest’s subsequent actions. Further, NatWest’s high levels of staff recruitments in the 1980s were a necessary response to rapid growth. In terms of legitimacy theory NatWest’s claims of social responsibility and associated actions could be interpreted as part of a legitimising strategy, an attempt to manage the possibly divergent legitimacies of shareholders and other stakeholder groups, given NatWest’s “record” profits during a period of general recession were “under attack for being excessive as a result of high interest rates” (NatWest, 1980, p. 10). It would be reasonable to assume that the high interest rates and record profits would not have been well received by the increasing numbers of the general public accessing credit as a result of increased public property ownership and rising share and property prices, by business customers suffering from the recession and, given the flow on effect of unemployment, by the general community. The pre 1986 disclosures could also be explained from a political economy perspective in that regulation acted as a form of subsidy and had encouraged financial institutions to undertake social functions “of critical importance to the economy” (Leyshon and Thrift, 1993, p. 240). NatWest may have been eager to be seen by regulators to be fulfilling its social responsibility given the potential negative effects on capital of the removal of such protection. Once removed (late 1986), and given the broader government agenda to encourage “efficiency and enterprise”, and to “let people stand on their own feet”, this responsibility to contribute to reducing unemployment may not have been seen as an expectation of government and, therefore, necessary to the protection of capital interests. References to unemployment vanished. NatWest’s concern for the social problems of unemployment, and its expressed responsibility to local communities (NatWest, 1987, p. 7) and “to make Britain a better place for all” (NatWest, 1988, p. 18) are in sharp contrast to NatWest’s actions during the 1990s, as will be analysed below. In the reports of the 1990s comments on social responsibility were limited to brief references to their community support programme (NatWest, 1990, 1994), or were couched in terms of the bank being firstly “a business” which needed to be adequately rewarded for its services in order to be part of a healthy and profitable banking system, which was “so important to the economy” (NatWest, 1991, pp. 2-3). This emphasis is consistent with the political agenda. As predicted by Leyshon and Thrift (1993) the restructuring of the finance industry had important consequences as discussed below. “As part of our drive for profitable growth, we continue to look closely at means of cutting work and activities which do not add value to our services. We are streamlining our operations in order to release staff for more profitable activities and we are confident that we shall achieve lasting cost savings of more than €200 million per annum over the next two to three years. Technology has a key role to play in our streamlining programme” (NatWest, 1989, p. 16). Given the strategy of reducing costs by reducing “staff intensive” processes, the language (supported by the subsequent redundancies) suggests a change in the way branch employees were viewed, from “a positive resource to the business” to a view of employees as a “cost” which must be reduced in order to increase profits for shareholders. This is consistent with a Marxist political economy perspective on the capital/labour relationship. In the process of the production or appropriation of surplusvalue labour is “treated as a disposable means of production and has to be exploited to increase profits. To maximize economic surpluses business enterprises seek to cheapen labour through substitution by technologies, deskilling, product innovations, exploiting gender, ethnicity and age inequalities and global mobility of capital” (Sikka, 2008, pp. 956-957). Substitution by technologies was one means used by banks to cheapen labour. As discussed below deskilling and increases in part time and temporary employment (for predominantly female employees) were also means to cheapen labour. “Technology […] helps to speed up the work-flow, increase accuracy and free staff from routine labour-intensive jobs to deal with our growing business” (NatWest, 1989, p. 16). Notably, the broader impact of these policies and actions on staff, for example, how staff time freed up as a result of these changes would be utilised, was not discussed. Technology created a need for low skilled, low paid labour, for example one impact of technology (and branch rationalisation) was the removal of many backroom, routine operations from the branches to processing “factories”. For the increasing numbers of low skilled, low paid, part-time and temporary, predominantly female, workers “who tend to be employed on routine data-processing tasks” (Burton, 1990, p. 586) technology resulted in the deskilling of jobs (Rajan, 1987; Sinden, 1996; Sparrow, 1996; Crompton and Jones, 1984). According to a bank representative (reported in Sinden, 1996), these workers would have to be multi-skilled in order to be able to undertake different deskilled tasks, “and that will relieve the boredom factor” (p. 34). Men were largely unaffected by job deskilling. Discussing the impact of technical deskilling on clerical and administrative work in Britain, Crompton and Jones (1984) concluded that “the potential effect of technology induced deskilling on the male career structure has been, up to now, significantly reduced by the presence of women who are largely excluded from promotion” (p. 77). “The variety and status of work available to branch employees and the number of promotion positions open to them in the future will […] diminish […] Valuable opportunities to gain on-the-job skills training in advanced banking functions and middle management experience will be restricted, particularly for staff in small branches with limited services. Because women predominate in the branch system, their vulnerability and disadvantage are increased” (Burdett, 1994, p. 23). The impact of technology of reduced career opportunities for female staff in the UK banking sector is reported by Rajan (1987) and Burton (1990). According to Rajan (1987) new technology had the effect of weakening or blocking the channels between the lower tier clerical staff (predominantly female) and other occupations. This is reflected in expectations of female employees in a large UK retail bank of downgraded career paths (Sparrow, 1996). Furthermore, Sinden (1996) suggested that the reduction in the variety of work available to branch employees as a consequence of technology “may be a further stimulus to part-time working, as there is now a fluctuating demand for the particular skills left in the branch” (p. 34). Impacts of part-time work, particularly on female employees, are discussed below in the section “Mode of employment”. “Saves much routine work and gives staff more time to attend to the needs of customers and promote the Bank’s business” (NatWest, 1982, p. 24). “With the greater emphasis on marketing and profits, there has been a major shift in staff numbers out of the back office and into the marketplace” (NatWest, 1990, p. 14). The rhetoric of the importance of “marketing” and “profits” shows little regard for the impact of these changes on employees. For many staff, the new sales roles enforced a completely different relationship with customers. Burton (1991) reported that some staff enjoyed their new role, however, some existing staff regarded the new role of “selling” goods to customers as demeaning (Cressey and Scott, 1992). Wilson (1992) reported that there was a “natural aversion towards selling amongst branch staff” (p. 410). Sparrow (1996) suggested that banks would face immense problems in encouraging outward facing customer service and relationship behaviour as a result of the “violated” psychological contract “representing a set of unwritten reciprocal expectations between an individual employee and the organisation” (p. 77). Further, while the rhetoric was of customer service, Howcroft (1993) found in his survey of staff in one UK clearing bank that the most important “people” factor in determining service quality was regarded as staff morale and that the “general underestimation by the bank of the net worth and contribution made by both clerical and managerial staff to the efficient functioning of the branch network” led to low staff morale (p. 12). There was also concern about the bank’s preoccupation with cost which “had undermined the efforts being made by staff to improve services in branches” (Howcroft, 1993, p. 21). “The introduction of new services, new methods and new equipment, if they are to be successful, requires the full co-operation of our staff. The bank recognises the importance of keeping employees informed of developments and as part of this policy, a visual presentation entitled “Looking to the Future” has been given to many members of staff and representatives of the staff bodies” (NatWest, 1980, p. 17). “To meet the needs of our expanding business, we must use new and improving technology. Recognising the possible effect on working methods and career prospects, the Bank is keeping the Unions informed fully in order that their views can be taken into account” (NatWest, 1981, p. 20). The annual reports continued to report regular meetings with the staff association and the Banking, Insurance and Finance Union (BIFU) “for purposes of discussion and negotiation” (NatWest, 1984, 1985, 1986, 1987, 1988, 1989) and in 1983 NatWest reported that presentations were made to unions on various subjects including new technology so that they could consider whether any proposed changes would affect their members (NatWest, 1983). However, these disclosures appear to lack conviction. For example, there was no disclosure of outcomes of these discussions and presentations. There is no mention in the reports of the significant impacts on (predominantly female) employees of technology and branch rationalisation – deskilling, reduced training and career opportunities, and enforced role changes. There is no indication that the voices of employees or their representatives were heard and responded to in relation to any of these issues. We were unable to identify anything in the reports suggesting that employees’ interests and concerns were represented in the bank’s decision making processes. Although annual reports are one of a number of forms of communication this might indicate a lack of accountability to and for employees. Disclosure, and the lack of disclosure on the effects of changes on employees, combined with the emphasis on profit, could suggest a lack of concern for employees, and the primacy of capital. Further, consultation with unions “in order that their views can be taken into account” appears contrary to other evidence. As discussed earlier unions did not have a strong presence in the large banks. Further, Morris (1986) contended that banks had consistently refused to negotiate over the strategic issues of the direction of innovation with the unions. While traditionally the majority of staff belonged to staff associations these were generally seen as employer dominated and “opposed to strategies which might represent a challenge to management prerogative” (Morris, 1986, p. 119). This allowed management to retain control of work methods and manning levels (Morris, 1986). The reported consultation with unions, therefore, may have been a legitimacy strategy, with banks portraying themselves as acting in a way which was consistent with legal requirements and, therefore, social expectations. Under the Employment Act 1982 the Bank was required to state the action taken in relation to, among other things, consulting employees so that the views of employees could be taken into account in making decisions which were likely to affect their interest. The reports reveal no evidence of a commitment to consider and respond to the needs and concerns of stakeholders in decisions likely to affect their interests. From a Marxist political economy perspective the lack of disclosure of the impacts of change on predominantly female employees (discussed further below) helps perpetuate gender inequity, the strategies used in the pursuit of profits increasing women’s vulnerability and disadvantage, a consequence of a system that produces and supports power inequalities and rewards managers for “implementing strategies that increase corporate profits and lower labour costs” (Sikka, 2008, p. 957). Lack of disclosure served the interests of capital (see Tinker and Neimark, 1987). Further, the emphasis on “efficiency” lent support to the political agenda and may have been an attempt to discourage further workplace regulation, thereby “contributing towards the deflection of the negative economic consequences (to capital) of structural conflict inherent in the capitalist system” (Unerman, 2002, p. 5). The emphasis on efficiency also resonates with legitimacy theory. Framing the issues of changing technology and branch rationalisation in terms of values that are seen as legitimate, such as rational efficiency (Ashforth and Gibbs, 1990), may have been a strategy aimed at manipulating public perceptions of their actions. Further, while NatWest emphasised the positive effects of branch rationalisation and technology they suppressed information regarding the negative effects of change, particularly on women, which may have undermined their public legitimacy, given equity was a significant social issue. “In common with much of the banking industry, the NatWest group has experienced a difficult year. 1990 has been a period of uncertainty, with high interest rates, rising inflation and much slower growth, leading ultimately to recession” (NatWest, 1990, p. 4). “[…] challenged with the task of reducing costs” (NatWest, 1990, p. 4). “[…] working hard to control our costs more effectively […]” (NatWest, 1990, p. 10). “Cost containment continues to be a priority […] During 1991, the UK branch network has been reduced by 117 branches to 2,816 (1990 saw a reduction of 100 branches). UKBB staff numbers have been reduced by more than 2,600 during the year and further job reductions are planned through a combination of the introduction of new technology and more efficient work practices” (NatWest, 1991, p. 12). “it is nevertheless likely that some cost savings will come from early retirements and redundancies. These measures are unavoidable and necessary in the longer-term interests of our shareholders and continuing employees” (NatWest, 1990, pp. 10-12). “In all of our businesses, our aim is to provide a better service to our customers. We believe this to be essential to enhance the investment of our shareholders. In giving service, the quality of what we provide stands or falls on the motivation, talents and dedication of all our colleagues. There is no doubt that this has been a difficult year for many of them – with significant redundancies, and the uncertainty which this creates, as well as the constant drive to improve productivity and to adapt to changing ways of doing business. We on the board are immensely aware of these demands, and we are very grateful to everyone who is striving so hard to sustain our business.There has continued to be great public interest in the conduct of the banking system. […] as the Banking Ombudsman recognised in his Annual Report, it is not always clearly realised that we are a business, not a public institution. We are a service industry and will ultimately stand or fall on our ability to deliver what our customers want at a price they are prepared to pay. We have to be properly rewarded for our services. It is only in this way that we can serve our shareholders, the long-term interests of our customers and be part of a healthy and profitable banking system which is so important to the economy” (NatWest, 1991, pp. 2-3). “While the hero’s courage, loyalty and dedication overcomes crises and ensures the survival of the company, when this fails the employee is called on to lay down his (working) life that the company may survive. It is through the death of the employee’s employment contract that the company lives, that “its future is safeguarded”” (p. 14). From a political economy perspective NatWest appeared to promote values which were consistent with the government agenda in what appears to be an attempt to mediate the interests of employees and shareholders. The government’s emphasis on efficiency and enterprise in getting the economy back on its feet, and its shedding of thousands of jobs in the drive to profitability prior to privatisation, helped to explain this apparent lack of regard for the consequences of redundancies. The ends, “be part of a healthy and profitable banking system which is so important to the economy” (NatWest, 1991, pp. 2-3) and hence the government appeared to justifythe means. From a Marxist political economy perspective, defining staff in terms of cost gives corporations the power to reduce that “cost”. The persuasive power of accounting cost arguments in an employment context are highlighted by Bishop and Boden (2008). As a cost employees may be viewed as “an impediment to productivity” (Gowler and Legge, 1986, p. 13) and, therefore, return on capital. NatWest’s use of cost and other arguments to persuade employees of the need for the reduction in the workforce, thereby reducing costs and increasing profits, is consistent with a political economy perspective that reports operate in specific interests (classes or elites), in this case capital. “I am confident that we can build on our strengths to bring benefits to all our stakeholders – through growing returns to our shareholders, increased performance related rewards for our staff and improved services for our customers” (NatWest, 1994; Chairman’s report). “By an emphasis on the quality of the employment offered to those with employment. Such a strategy could then be developed by companies to merge into Lindblom’s fourth legitimation strategy of “changing expectations”. In this sense, companies were now “disowning” their responsibility for unemployment and emphasizing their responsibility for those in employment” (p. 64). However, NatWest’s policy of compulsory redundancies was reportedly damaging staff morale (Wilcock, 1994). There is evidence of growing resentment among NatWest employees: “[S]taff at NatWest have leafleted and picketed the public in 15 towns and cities as part of a ‘Stop the Sackings’ campaign organised by the Banking, Insurance and Finance Union” (White, 1993, p. 11). NatWest was criticised for the “brutality” of its sackings (White, 1993, p. 11) while Midland Bank won praise for the way it handled job losses. Evidence indicates that downsizing and job insecurity “affect the employees’ physical and psychological health” (Christensen, 2007, p. 180; see also Kets de Vries and Balazs, 1997; Kramar, 1998; Ferrie et al., 1998; Hochschild, 1997; cited in Marchington and Wilkinson, 2000). Such major changes can cause feelings of anxiety, stress, demoralisation, helplessness and suspicion and can lead to declines in commitment, trust in an organisation and job satisfaction (Ashford et al., 1989; see also Durkin and Bennett, 1999; Hudson, 2002). Kets de Vries and Balazs (1997)suggest that the major issue for both the victims and survivors of downsizing is the breaking of the “psychological contract” – “a contract that implies lifetime employment in return for hard work and loyalty” (p. 18). This had been the tradition for men in the retail banking industry. Downsizing also has broader impacts on employees’ families and the wider community (Christensen, 2007). While there is little doubt that redundancies was a material employee issue, particularly given the stable employment history of the retail banking sector, there was a lack of transparency and accountability on this issue. Despite the notable and ongoing social consequences there was little mention in the reports of branch closures and the impact on staffing. There is no disclosure of the processes by which “staff numbers have been reduced”. There is no mention of employees’ welfare. While recognising, or paying lip service to, demands on staff, there was no account in the NatWest reports of management’s engagement with employees on this issue, nor whether, and if so how, employees’ concerns were responded to. Discussion of the significant potential impacts of the changes and redundancies on staff are limited to the financial benefits for those staff remaining. However, performance related rewards were not available to all and certainly in one large UK bank were not expected by a significant proportion of female workers (Sparrow, 1996). With the exception of reference to a re-entry scheme for women on maternity leave in the 1981 report, and consideration of job sharing reported in the 1982 report, a significant omission from the annual reports is mention of the increase in part-time employment which has received significant attention in the literature (Sinden, 1996, Cressey and Scott, 1992, Burton, 1990; Morris, 1986). By 1991 woman made up almost 100 per cent of part-time clerical workers in the UK retail banking sector (Cressey and Scott, 1992). Part-time work was “a means of responding in a cost-effective way to fluctuations in business demands […]” (Morris, 1986, p. 95). It was also argued that it was used to encourage former full-time female employees back to work (O’Reilly, 1994). However, Sheridan and Conway (2001) suggested that the main driver of the rapid expansion in part-time employment in Australia had been a desire to increase efficiency and decrease costs rather than to assist employees balance their work and family responsibilities, an argument often used to support a “flexible” labour policy. They suggested that these different objectives result in significant problems for organisations that limit the growth of the individual, and the organisation, and that employees’ interests and needs have generally not been considered in the shift towards a more flexible workplace (Sheridan and Conway, 2001). Australian employees reported that they had not gained from the flexible work changes and, in fact, indicated a greater dissatisfaction with their ability to balance work and family life (Kramar, 1998; see also Junor et al., 1993). Flexible working hours, flexible employment arrangements, flexible job structures, and the emphasis on cost cutting have been found to have adverse effects on the health and safety of employees (Kramar, 1998). This suggests that mode of employment and its effects on staff was a material issue, particularly for the large part-time (predominantly female) NatWest work-force, however, as with other issues discussed there is a lack of accountability on this issue. There is no disclosure in the annual reports of the impact of flexible employment, or engagement with employees on this issue. Other work related issues relating to part-time employment will be discussed in the next two sections. Workplace changes coincided with reports of considerable expenditure on staff training. It was reported, in 1989, that tremendous effort had been made to train staff and to put the information systems in place “to make sure that customers got the appropriate financial information and the products that suit them” (NatWest, 1989, p. 18). This training appears to have been focused on those staff providing advice, or selling products to customers. NatWest reported spending £60m on training NatWest people “to provide the service customers expect” (NatWest, 1991, p. 21). There is no indication as to which staff, and/or what percentage of staff, were receiving the training. Given the factors discussed below it is unlikely that the money spent on training was going to the large group of predominantly female part-time staff in lower grade positions, to improve their skills and promotion prospects. In the 10 years up to 1987 when retail banks were employing increasing numbers of female, part-time workers the average ratio of “career” to “non-career” personnel in the UK financial services sector decreased from 60:40 to 30:70 (Rajan, 1987). These part-time workers, who were increasingly being hired for routine activity– “peripheral workers” (Atkinson and Gregory, 1986), did not require extensive or ongoing training (Burton, 1990; Storey, 1995; O’Reilly, 1994; Rajan, 1987). Further, research indicates part-time employees were excluded from more highly skilled clerical positions (Robinson, 1985; Cressey and Scott, 1992; Burton, 1990). O’Reilly (1994) surveyed bank employees in Britain and France. She found that part-timers fared less well than full-timers with respect to training and promotion opportunities (see also Atkinson and Gregory, 1986; Storey, 1995; Rajan, 1987), and that a large percentage of part-timers perceived their promotion opportunities to have decreased (see also Zeytinoglu, 1994). O’Reilly (1994) reported that lack of career and promotion opportunities can be demoralising (see also Burdett, 1994). Research also indicates gender discrimination in the type of training women had access to (Webster (2001). These factors may help to explain the statistics in the Australian banking industry where 41 per cent of part-timers had substantial experience in the industry, and yet were resigning at a rate of 34 per cent each year compared to 18 per cent of full-time staff (Alexander and Frank, 1990; cited in Burdett, 1994), a significant turnover rate notwithstanding the tendency for women to “move in and out of the labour force more than men because of the birth of children or the need to care for children, sick or elderly relatives” (Gardiner, 1983, p. 191). However, it was not only part-time female employees in Britain who were disadvantaged. Atkinson (1984) commented on the relatively high turnover of full-time female staff in low skilled jobs with a lack of career prospects (see also Povall, 1986). The state of the labour market, with high unemployment, few shortages of labour and a weakened trade union movement helped UK firms secure this more flexible (but marginalised) workforce (Atkinson, 1984; Burton, 1990). However, there are other important historical and social factors which help explain the low ranking positions of large numbers of female bank employees. In the retail banks in the 1950s and 1960s men were generally recruited to career jobs and women to non-career jobs which they left on marriage or prior to childbirth (Crompton, 1989). Women were employed as short term temporary labour on lower rates of pay. Careers were not offered. While in the late 1960s the banks introduced clerical grade structures, whereby men and women were recruited at the same grade level “discrimination simply became more subtle” (Adams and Harte, 1998, p. 801). Women were recruited (by men) with lower qualification levels than men, dissuaded from further education and as they generally did not meet mobility requirements (due to family commitments) they were not eligible for promotion (Crompton, 1989). Young female employees in one major retail bank “were bitterly resentful at being passed over for what they perceived were inefficient and inexperienced young male clerks” (Crompton and Sanderson, 1990, p. 129; see also Cressey and Scott, 1992). Clerical careers disappeared under the new structure and as the demand for labour increased with the increase in technology, and there was a shortage of male recruits, women increasingly replaced men in clerical positions such as telling. Clerical work became “women’s” work and, despite equal opportunity pressure in the 1980s forcing the banks to change their recruitment structure to a gender neutral tiered entry system, this had an effect on the gender distribution of applications at the different entry points and resulted in a systematic gender imbalance between different grades (Crompton and Sanderson, 1994) with women concentrated at the lower levels. Moreover, the trend to increasing part-time employment levels “appears to be one significant factor which will sustain the secondary role of women in the bank’s internal labour markets” (Morris, 1986, p. 96). The research suggests that the lack of opportunities afforded female, particularly part-time, employees would have been a material issue for many of NatWest’s employees, particularly younger women. Further, while many bank workers in the early 1990s did not identify fully with trade unionism, the percentage of women belonging to the BIFU had risen from 37 per cent in 1965 to 56.4 per cent in 1991. This may have been in part a reflection of women, particularly younger women (Crompton and Jones, 1984), feeling a lack of empowerment in the workplace. However, if there was any engagement with employees on lack of opportunities, or actions taken to address the lack of opportunities, they were not reported. No negative impacts of these workplace policies and practices were disclosed. Assisted by the introduction of technology, the move to a more flexible, low skilled and, therefore, lower paid workforce support and could be considered as perpetuating a capitalist system under which labour is regarded as “a disposable means of production and has to be exploited to increase profits” (Sikka, 2008, p. 957). There is some debate as to whether class theory can explain women’s exploitation (see Tinker and Neimark, 1987; and Crompton, 1987; Crompton and Sanderson, 1990) as Marxists would argue that capitalism is indifferent to the kind of labour it exploits, and can co-opt whatever extra-economic oppressions (such as gender) are historically and culturally available (Wood, 1988; Crompton and Sanderson, 1990). However, institutionalised ideas about the roles and abilities of women and “female” attributes were “co-opted” by the bank to the advantage of capital. As Adams and Harte (1998) argued: “the banks are seen to quietly acquiesce to such patriarchal influences, neither highlighting the injustice to women nor the potential gains from recruiting more from this cheap labour source” (p. 792). The economic needs of capitalism appeared to be served by gender oppression. The lack of disclosure of the impact of these policies on women, who were “disproportionately affected” (Morris, 1986, p. 95) by policies such as part-time employment, perpetuates gender inequality. In so doing the bank’s reports play a role in the mystification of capitalism, “its illusions about the […] autonomy of the extra-economic sphere” (Wood, 1988, p. 20). While NatWest chose to “suppress information regarding activities or outcomes” (Ashforth and Gibbs, 1990, p. 180) which may have undermined their legitimacy, what was reported was that at the higher level the Opportunity 2000 program (a national program aimed at assisting women to reach managerial positions) was implemented to enable the number of women in managerial positions to be increased “to a third by the year 2000” (NatWest, 1990, p. 5). Within the first year of implementation (1991-1992), Opportunity 2000 saw women in management rise from just over 16 to 21.5 per cent. This figure increased to 25 per cent at the end of 1994. Given a significant social issue at the time was the lack of woman in management positions this emphasis on “good news”, achievements relating to the upper tier of female workers, is not surprising and, given the political – economic context, is consistent with a political economy explanation. Notably, there is no detail given of the levels of management to which women were appointed. Halford and Savage (1995) concluded that long-standing patriarchal employment relations (see Adams and Harte, 1998) had not been eroded by restructuring in banking and local government, that “men within organisations have begun to mobilise around alternative forms of masculinity, especially that based around the idea of competitive masculinity” (p. 98). They suggested that promotion of women to more senior clerical positions may be explained by the shift to sales type roles which emphasise feminine qualities of accessibility, giving women a more visible role in banking (see also Crompton and Sanderson, 1994) while “those areas of management where the virtues of ‘performance’, hard work and competitiveness are most celebrated are those which have the highest proportion of male managers” (Halford and Savage, 1995, p. 118). The lack of disclosure of any detail of the levels of management to which women were appointed may stem from a perceived threat to legitimacy that such disclosure might bring about. “The views and concerns of the staff, further assist in the monitoring of existing policies and provide additional input in respect of planning for the future” (NatWest, 1987, p. 25). However, there was no mention or discussion of responses to or actions taken in relation to these discussions or surveys. The bank also implemented self-managed “quality service action” teams. The increased involvement of staff coincided with recognition of an “increasingly competitive” marketplace (NatWest, 1988, p. 26). The generation and recognition of employee ideas through team involvement was argued to be “key to the Bank’s objective of providing a high quality of service” (NatWest, 1991, p. 5). Team membership was argued to provide “further opportunities for self-development and job satisfaction” (NatWest, 1988, p. 26) and “a forum for staff to develop their skills in problem solving and leadership” (NatWest, 1991, p. 5). However, the benefits of such schemes in this period of significant change and uncertainty have been challenged (Townley, 1994; Holden, 1999). “Restructuring, redundancy, increases in part-time and short term contracts […] bred a feeling that contradictory messages were being sent by management. Increased communication and other HRM initiatives were sending messages to the workforce that they were an essential part of the bank, to be valued and imbued with a sense of commitment. The reality was that many staff though eager to fulfill their duties, felt insecure, overworked and perhaps faced with the possibility of unemployment” (p. 236). Sparrow (1996) examined the psychological contract of a sample of employees in a UK retail bank and concluded that a significant proportion of the workforce were disengaged, held negative views about their current job and communications were unlikely to change attitudes. This is supported by research which indicated that general staff publications in the UK banking sector were little read and there was widespread cynicism regarding their truth (Sparrow, 1996; Hughes, 1995). Employees considering themselves to be disbelieving of company information have been found to experience greater job dissatisfaction (Townley, 1989). It is possible that some, perhaps many, NatWest employees felt insecure, overworked and disengaged as a consequence of the changes that were occurring. However, again there is no evidence in the NatWest reports that employees’ views were considered or responded to by management. There is a notable lack of evidence of genuine involvement of employees in decisions affecting their interests. Disclosures indicate that the focus of the consultation and communication was on increasing profits through improving bank services and efficiency and not on taking account of the views of employees in making decisions likely to affect their interest. For example, in 1988 it was reported that the top “Eagle Owl” award was presented to a staff member “for an idea which will save the bank some €160,000” (NatWest, 1988, p. 26). From a political economy perspective, the lack of any substantive disclosure of how employees’ views were considered or responded to could reflect the government’s political agenda, with consultation being seen primarily as a means of educating employees of the economic context of the organisation in order to curtail wage demands. A further issue is raised by a study undertaken by Markey et al. (2002). This study offered strong evidence that part-time employees do not share the same level of opportunities for employee participation, or influence over their work and conditions under which they work, enjoyed by full-time employees (see also Burdett, 1994), and have a lower sense of empowerment in the workplace (see also Junor et al., 1993). Markey et al. (2002) concluded that as a consequence, because part-time employment is predominantly a female form of labour market activity (see also Strachan and Burgess, 2000), women do not enjoy the same degree of opportunities for employee participation that men do. Markey et al. (2002) found almost half the part-time employees surveyed reported employment status a reason for lack of consultation. Other research data from a survey of ten European countries indicated that about 25 per cent of workplaces practising group work denied women equal access to direct participation in proportion to their share of the workforce (Schnabel and Webster, 1999; Webster, 2001). There was no reference in the NatWest annual reports to the difficulties part-time employees (a significant proportion of their workforce) may have experienced with participation in discussions about their work, another notable non-disclosure. In response to the commercial environment NatWest introduced performance related pay schemes which were applied initially to managers and staff at higher levels on standard, full-time employment contracts. “To sharpen the focus of the new Group structure on profitability, and to heighten our responsiveness to market forces, we have linked part of our managers’ pay to performance. Every manager is now accountable for reducing costs and promoting quality service” (NatWest, 1988, p. 12). “In an era of institutional investor pressure, corporate executives, like supermodels, have a potentially short shelf-life. Pay for performance provides them with strong incentives to increase corporate profitability during their tenure. The ways in which profitability can be increased are limited, but a common contemporary technique is downsizing of the workforce” (p. 15). “[…] the traditional flat rate Christmas bonus paid to over 60,000 Unappointed staff has been replaced by a Performance Related Merit Bonus Scheme” (NatWest, 1991, p. 29). Later NatWest reports continued to emphasise “appraisal systems” and performance-based incentive bonuses. The general secretary of the BIFU, Leif Mills, described the widening of performance related pay as making salary determination even more subjective on the part of management, and concluded that side-by-side with job losses and the resulting insecurity “such schemes will further demotivate staff and exacerbate the general feeling of uncertainty and concern” (Mills, 1992, p. 10). A BIFU survey reportedly found that 93 per cent of the 1,000 appointed and managerial staff surveyed did not trust the employer bank to implement its performance-related pay proposals fairly (Banking World, 1992). The conclusion from a UK study was that using performance pay as an incentive could prove to be counterproductive in the long run for certain low-paid occupations (McCausland et al., 2005). If this was a material issue for NatWest employees it is not referred to in the reports. Again, there is no disclosure in the NatWest reports of consultation with employees on this issue and, therefore, nothing to suggest that the views of employees on this issue were considered and responded to by management. From an intrinsic stakeholder perspective there was little evidence of NatWest’s acceptance of a moral responsibility to take account of the interests of employees and its accountability thereof. There was a lack of disclosure of material issues such as branch closures and increases in part-time employment, and impacts of these and other workplace changes such as technology – changing roles, job deskilling, reduced training and career prospects, lack of consultation and participation. There was a lack of disclosure of redundancy processes, and impacts of redundancies on employee health and welfare. There was a lack of disclosure of the growing low skilled, low paid, predominantly female, clerical workforce and of the fact that females were disproportionately disadvantaged by employment policies and practices. While management actions were justified by an economic imperative – in order to “contain” or “control” costs or “improve efficiency” moral and ethical interpretations were avoided.From an intrinsic stakeholder perspective, lack of disclosure of material issues affecting employees could be interpreted as an indication that employees were regarded as means to ends rather than ends in themselves. In the NatWest reports there is little, if any, evidence of employee “inclusivity” in the workplace change process. 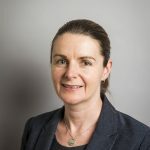 Despite the rhetoric of consultation there is a lack of disclosure of outcomes or actions indicating that NatWest considered and responded to employee needs and concerns in its decisions, policies, practices and actions a conclusion supported by evidence of increasing staff dissatisfaction. The apparent lack of accountability by NatWest to and for employees is consistent with the findings of Adams (2004) of a lack of accountability to stakeholders, and supports the lack of employee disclosure findings of Vuontisjarvi (2006) and Day and Woodward (2004). Our analysis indicates that what and how NatWest reported on employee issues was influenced by considerations other than transparency and accountability towards employees. Previous research has questioned the explanatory power of legitimacy (Guthrie and Parker, 1989; O’Dwyer, 2002; Adams and Harte, 1998; Adams and McPhail, 2004), however, our findings are consistent with those of Gray et al. (1995), in that legitimacy theory, aided by an analysis of language and rhetoric, offered insights into what and how NatWest chose to report on employee issues. In fact legitimacy appeared to be an important consideration in reporting on employee issues. Symbolic management strategies are apparent. In response to criticism NatWest employed language and rhetoric which was consistent with a strategy designed to legitimate actions which negatively impacted on employees and which in the case of redundancies and branch closures had a significant social impact. Company policies or actions were identified with socially accepted values of “efficiency” and “value for money” consistent with a strategy designed to deflect attention away from the negative impacts on many employees. Disclosures were also consistent with strategies aimed at educating and informing stakeholders as to the appropriateness of organisational methods and goals, and/or changing stakeholders’ expectations. Language was used to persuade readers to a particular view of reality. 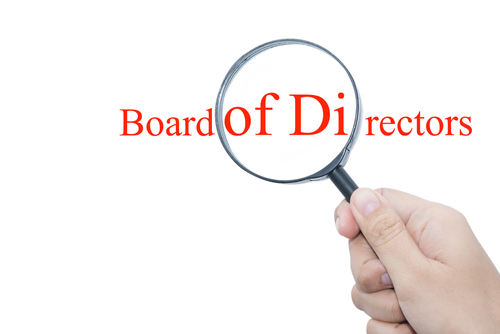 The disclosures present a company struggling in hard economic times and having to make tough decisions such as retrenching employees in order to cut costs and improve efficiency, in the best interests of customers, shareholders, continuing employees, and the economy. In the face of criticism NatWest offered a public relations response espousing “platitudinous statements affirming the organisation’s basic propriety and importance to society. The tone is that of righteous indignation” (Ashforth and Gibbs, 1990, p. 189). Insights from political economy theory contribute to make sense of what and how employee issues were disclosed. In reporting on employee issues NatWest promoted values which reflected and supported the government’s political agenda and ideology, in what appeared to be an attempt to mediate various stakeholders including government, shareholders, employees and the public. Our findings are consistent with the view that corporate disclosures are part of a strategy to protect and advance the interests of capitalism and the capital class. Disclosures appeared to promote the interests of capital by supporting government policy, encouraging government protection, or discouraging further regulation. The NatWest reports demonstrate recourse to rhetoric and accounting language that supports an economic rationalist view of the world- being promoted strongly by the UK government of the time. In turn, this justified or supported management’s cost cutting actions and commitment to capital interests, while downplaying or ignoring the significant impact on employees, particularly women. It appeared that NatWest reports “were deployed as ideological weapons aimed at influencing the distribution of income and wealth, in order to ensure the company’s continued profitability and growth” (Neimark, 1987, p. 72). They appear to have been employed as a mechanism to avoid the negative impact on capital of the labour/capital conflict by attempting to persuade employees of the need for the reduction in the workforce, thereby transferring wealth from labour to capital. This may also explain the non-disclosure of work policies and practices used by NatWest to transform its relationship with women as a means of maximising surplus value. In the drive to decrease labour costs and increase profits extra-economic oppressions were “co-opted” to exploit large numbers of female employees. Reports were used to mediate, transform and mystify the conflict between capital and labour. This study highlights the importance of studying disclosures in their social-economic-political context. The analysis indicates that during this period of the company’s history the involving of employees in decisions that affected them was not considered important. This is consistent with the lack of power of employees at the time, government’s policies and ideologies which favoured business, particularly the finance industry, and the dominance of powerful capital interests. The part these and other factors may play in the employee accountability relationship, are revealed, at least in part, through the lenses of legitimacy and political economy. The analysis reinforces previous suggestions that social disclosures cannot be explained by a single framework (Parker, 2005; Gray et al., 1995). This study approached employee accountability from a moral perspective as opposed to a managerial perspective, the latter viewing stakeholding as a means to specific ends such as increased efficiency, competition and profitability. However, as discussed earlier in the paper, these should not be considered as separate (Freeman et al., 2004). The apparent lack of consideration for employees has important business ramifications in addition to the moral dimension that constitutes this paper’s primary focus. The introduction of dramatic change without sufficient attention to the impact of the change on employees, which is apparent from the NatWest annual reports, can lead to employee anxiety, distrust, low staff morale, lack of commitment and reduced productivity. Further, research indicates that: “Acting responsibly and being accountable for social and environmental impacts assists organisations in attracting and retaining the best people” (Adams and Zutshi, 2004, p. 34; see Bernhut, 2002; Simms, 2002; Turban and Greening, 1997). This is extremely important in this time of an ageing workforce, high employment and skill shortages. Companies need to consider the new generation of workers referred to as “generation Y” or “millennials”. McCrindle (2007) is insistent that to attract and retain young people corporations need to target their interests and attitudes. According to Sheahan (2005), a generation Y “expert”, “Generation Y’s insistence on a more people oriented workforce and on engaging in work that makes a positive contribution to the community is a reflection of a much broader demand coming from the entire workforce” (Sheahan, 2005). He argues that while generation X put up with autocratic attitudes and management styles because they were grateful for the opportunity to work, generation Y know that they have options and will not put up with it (Sheahan, 2005). They prefer an inclusive participative management style, and an environment of transparency and respect for staff (McCrindle, 2006); “they expect to have choices and input into decision-making processes” (McCrindle, 2007, p. 18). They “are defined by their capacity and desire to communicate” and therefore open channels of communication between management and employees are a must (Sheahan, 2007, p. 3). They need to feel valued (Estis, 2006). They desire variety, challenge, ongoing training and opportunity for advancement (McCrindle, 2006). Further, the issue of work/life balance is critical to the next generation of workers (McLean, 2006; McCrindle, 2006). The above observations would suggest that management who appear to ignore their responsibilities to employees and the demands of an emerging workforce do so at their peril. Thus, we see an interesting managerial twist that brings the paper full-circle to the managerial imperative for CSR and employee reporting, however, it is not the managerial perspective which should drive reporting. These observations reflect a moral framework, that employees desire an inclusive employee/employer relationship. They want to be treated and valued as ends in themselves and not just as means to ends. By extending the analysis beyond the firm focused stakeholder management perspective to considering disclosures from a moral perspective this study makes an important contribution to the corporate social reporting literature. Notably, while numerous content analysis studies have indicated that the volume of employee disclosures in annual reports is increasing, this in-depth study indicates that increasing volume, in itself, does not equate to improved accountability. In the case of NatWest there was a significant lack of accountability, in large part due to non-disclosure, which, with the exception of Adams (2004), Adams and Harte (1998), and Adams and McPhail (2004), few studies have investigated. While the period of this study was 1980-1995, and while generalisations are not possible as the findings of a case study are inherently context specific, this study supports the findings of Adams and Harte (1998) who focussed on disclosures relating to women, and the lack of disclosure findings of Day and Woodward (2004) and Vuontisjarvi (2006). As pointed out earlier, we are not suggesting that the issues and problems discussed herein are specific to NatWest. This study highlights the need for further case research into the extent to which corporate disclosures may or may not promote transparency and accountability. The study also makes an important contribution to theorising the role of corporate social disclosures in an organisation-society context by combining the normative stakeholder perspective with overlapping and complementary theories of legitimacy, political economy, and the role of language and rhetoric. What these multiple perspectives reveal is the complexity of the organisation-society relationship, and how the relationship might work against the promotion of transparency and accountability toward stakeholders, in this case employees. It cannot be assumed, therefore, that companies will have regard to their moral responsibility to take account of the interests of employees, and of their accountability both to employees and to wider society with regard to the discharge of that responsibility. Yet companies must be held to account. Companies need to demonstrate a genuine attempt to be accountable to employees, to demonstrate that they have considered and responded to the needs and concerns of employees in their decisions, policies and practices. Changing societal attitudes, and pressures for greater corporate accountability, suggest that inclusivity with respect to employees may increase in future. Our analysis would suggest that societal change is essential. Without societal change efforts to increase corporate accountability toward employees may be dominated by capital interests to the detriment of employees. It is, therefore, important that research efforts be directed toward exposing the use of accounts, and language within those accounts, to oppress and/or exploit employees. Challenges notwithstanding, mandatory disclosure requirements would serve as a means of making corporate management aware that expectations in relation to corporate responsibilities are increasing or changing, and would provide management with specific guidelines. Our study reinforces the importance of processes of reporting which include a robust dialogue with key stakeholder groups in ensuring both an empathy with and understanding of their situation and the completeness of reporting. This is necessary to ensure that accountability frameworks are “written for those they impact, not just those who may gain from them” (ISEA, 2007). An employee accountability framework must be developed around employee issues through a meaningful employee consultation process. Clarkson (1995) has developed a framework, which includes descriptions and definitions of stakeholder issues, which could serve as a starting point for the development of employee disclosure requirements and for assessing the performance of management with regard to its moral responsibility to take account of the interests of employees and its accountability both to employees and to wider society with regard to their discharge of that responsibility. On a final note, our study reveals the social harms that can be fostered by the dominance of economic rationalist values and the use of accounting to support those values. Accounting has moral implications: “As a practice, it influences the quality of life for millions of people in subtle and often complex ways […] The moral force of accounting needs to be questioned in the light of the values it promotes and the values that it impedes” (Arrington and Francis, 1993, p. 105). AccountAbility (previously ISEA) is an international, multi-stakeholder organisation. Transparency is necessary to completeness (Adams, 2004; Vettori, 2005; CSRwire, 2009). Transparency requires full and open disclosure, with both positive and negative impacts disclosed (Adams, 2004). “CSRwire is the leading source of corporate social responsibility and sustainability news, reports and information. CSRwire members are companies and NGOs, agencies and organizations interested in communicating their corporate citizenship, sustainability, and socially responsible initiatives to a global audience” (www.csrwire.com/about). For a more detailed discussion of the expansion of obligations relating to the recognition of employee interests see Wynn-Evans (2007). In 1998 the High-level Group on Economic and Social Implications of Industrial Change, established by the European Council, recommended that companies with more than 1000 employees issue a “Managing change report” based on a change management framework established in consultation with employees (Commission of the European Communities, 2001). The group suggested a reporting framework which would deal with policies, practices and performance regarding employment and working conditions, particularly anticipation of structural change, communication, employee involvement and social dialogue, education and training, employee health and safety and equal opportunity (European Commission, 2002). Zeghal and Ahmed (1990) and Branco and Rodrigues (2006) compared social disclosures in the annual report with disclosures in other sources, the former in company brochures and advertisements, the latter on the internet. Both studies found employee information was reported primarily in the annual report providing further support for our use of the annual report. Data was gathered using a content analysis instrument. This method has been widely used in determining the extent and nature of corporate social reporting (see for example Guthrie and Matthews, 1985; Guthrie and Parker, 1990; Adams and Roberts, 1995; Adams et al., 1995; Day and Woodward, 2004; Vuontisjarvi, 2006; Ratanajongkol et al, 2006; Branco and Rodrigues, 2006; Zeghal and Ahmed, 1990). The instrument noted disclosures under headings of: absenteeism, pensions, training and career development, job creation, closures, redundancy, labour turnover, collective bargaining and employee involvement. See Adams and Harte (1998) for details of the original collection and coding of the data. These categories encompass typical employee issues identified by Clarkson (1995) in his stakeholder framework, and other employee issues identified in the literature (Clarkson, 1995; Day and Woodward, 2004; European Commission, 2002). These include future employment prospects, job security, equal opportunity, working conditions, health and wellbeing, work life balance, and part-time, temporary, or contract employment. These issues were found to be interrelated with the key issues identified and, therefore, were not treated as separate categories. See Adams and Harte (1998) for a detailed account of the changes in women’s employment pattern in British banks during this period. Barclays recorded a loss, its first ever, in 1992. The bank’s highest levels of job losses occurred immediately after the loss in 1993 and 1994. However high levels of job losses occurred also in 1990 and 1991 before the full impact of the recession was felt. Consisting of those banking organisations with networks of branches throughout the country and/or which participate in a bankers’ clearing house (Lipsey and Harbury, 1992). Between 1989 and 1991 greater London experienced a loss of almost 20,000 jobs in banking and bill discounting as retail banks relocated central functions out of London (Sinden, 1996). In 1989 NatWest announced it was axing 1,600 jobs. The company claimed that finance union UNIFI had been consulted. The union claimed it had only been told the night before the public announcement. Part-time workers in the Australian banking industry were also predominantly female and in lower grade positions (Burdett, 1994). What appears to have been a policy of alternative recruitment forced on banks following their failure to compete for male staff [tellers], resulted in financial benefits, and may have been the encouragement that was needed to expand female recruitment, as technological changes led to an increase in the level of employment (Crompton and Sanderson, 1994). 1985 heralded a new era of threatened industrial action over pay. In 1985 all Clearing Bank Union members balloted on an overtime and cooperation ban over pay (NatWest staff association had joined this union). No action resulted because the banks increased their offer. In 1986, the BIFU recommendations to strike over pay at NatWest, Barclays and Lloyds were narrowly rejected. In 1987 BIFU members in NatWest, Barclays and Lloyds voted for an overtime ban and work to rule but narrowly rejected strike action in response to imposed pay rises. In 1990 BIFU members voted for strike action to increase their pay offer, however, no action resulted due to the majority being too small to conduct successful action (Gall, 1993, p. 68). In 1992 NatWest offered unappointed staff a rise of 2 per cent which was below the rate of inflation of just over 4 per cent. NatWest staff also took action in the 1990s over forced redundancies. Normally regarded as those born between 1978 or 1980 and 1994.
for example emphasis needs to be placed on disclosures relating to the nature of workplace policies that have been introduced, and actions and/or changes that have occurred, that have a material impact on employees, the impacts or potential impacts of those events on employees and wider society, and how those impacts are being addressed, or alleviated. They should also be required to disclose how consultation with employees or their representatives is taken into account in making decisions, and how staff participation schemes relating to the nature or conduct of their work, such as action teams, actually operate in practice and what outcomes there are, if any, from staff participation schemes, and/or staff surveys. Abrahamson, E., Park, C. (1994), “Concealment of negative organizational outcomes: an agency theory perspective”, Academy of Management Journal, Vol. 37 No.5, pp.1302-34. Adams, C.A. (2004), “The ethical, social and environmental reporting – performance portrayal gap”, Accounting, Auditing & Accountability Journal, Vol. 17 No.5, pp.731-57. Adams, C.A., Harte, G. (1998), “The changing portrayal of the employment of women in British banks’ and retail companies’ corporate annual reports”, Accounting Organizations and Society, Vol. 23 No.8, pp.781-812. Adams, C.A., McPhail, K. (2004), “Accounting and the politics of difference: reporting on ethnic minorities”, Abacus, Vol. 40 No.3, pp.405-35. Adams, C.A., Roberts, C.B. (1995), “Corporate ethics: an issue worthy of report?”, Accounting Forum, Vol. 19 No.2/3, pp.128-42. Adams, C.A., Zutshi, A. (2004), “Corporate social responsibility: why business should act responsibly and be accountable”, Australian Accounting Review, Vol. 14 No.3, pp.31-9. Aerts, W. (1994), “On the use of accounting logic as an explanatory category in narrative accounting disclosures”, Accounting, Organizations and Society, Vol. 19 No.4/5, pp.337-53. Alexander, R., Frank, S. (1990), Award Restructuring and Part-time Work in the Banking Industry, AGPS, Canberra, . Andrew, B.H., Gul, F.A., Guthrie, J.E., Teoh, H.Y. (1989), “A note on corporate social disclosure practices in developing countries: the case of Malaysia and Singapore”, British Accounting Review, Vol. 21 pp.371-6. Arrington, C.E., Francis, J.R. (1993), “Accounting as a human practice: the appeal of other voices”, Accounting, Organizations and Society, Vol. 18 No.2/3, pp.105-6. Ashford, S.J., Lee, C., Bobko, P. (1989), “Content, causes, and consequences of job insecurity: a theory-based measure and substantive test”, Academy of Management Journal, Vol. 32 No.4, pp.803-29. Ashforth, B.E., Gibbs, B.W. (1990), “The double-edge of organizational legitimation”, Organization Science, Vol. 1 No.2, pp.177-94. Atkinson, J. (1984), “Manpower strategies for flexible organisations”, Personnel Management, No.August, pp.28-31. Atkinson, J., Gregory, D. (1986), “A flexible future: Britain’s dual labour force”, Marxism Today, No.April, pp.12-17. Banking World (1992), “Staff unhappy but resigned”, Banking World, No.May, pp.14. Barr, P.S., Stimpert, J.L., Huff, A.S. (1992), “Cognitive change, strategic action, and organizational renewal”, Strategic Management Journal, Vol. 13 pp.15-36. Baxter, J., Chua, W.F. (2003), “Alternative management accounting research-whence and whither”, Accounting, Organizations and Society, Vol. 28 pp.97-126. BBC News (1982), “1982: UK unemployment tops three million”, BBC News, January 26, . Berman, S.L., Wicks, A.C., Kotha, S., Jones, T.M. (1999), “Does stakeholder orientation matter? The relationship between stakeholder management models and firm financial performance”, Academy of Management Journal, Vol. 42 No.5, pp.488-506. Bernhut, S. (2002), “Corporate social responsibility, with Pratima Bansal”, IVEY Business Journal, Vol. 66 No.44, pp.18-19. Bishop, M., Boden, R. (2008), “Disabling accounting”, Critical Perspectives on Accounting, Vol. 19 pp.1-16. Bleaney, M. (1983), “Conservative economic strategy”, in Hall, S., Jaques, M. (Eds),The Politics of Thatcherism, Lawrence and Wishart, London, pp.132-47. Boje, D.M., Gardner, C.L., Smith, W.L. (2006), “(Mis)Using numbers in the Enron story”, Organizational Research Methods, Vol. 9 No.4, pp.456-74. Bowie, N.E. (1991), “New directions in corporate social responsibility”, Business Horizons, Vol. 34 No.4, pp.56-65. Bowie, N.E. (1999), Business Ethics: A Kantian Perspective, Blackwell, Oxford, . Bowman, E.H. (1976), “Strategy and the weather”, Sloan Management Review, Vol. 17 No.2, pp.49-62. Branco, M.C., Rodrigues, L.L. (2006), “Communication of corporate social responsibility by Portuguese banks”, Corporate Communications: An International Journal, Vol. 11 No.3, pp.232-48. Broadberry, S. (1994), “Employment and unemployment”, in Floud, R., McCloskey, D. (Eds),The Economic History of Britain since 1700, Cambridge University Press, Cambridge, . Brubakk, B., Wilkinson, A. (1996), “Changing roles of middle management? A case study of branch management”, Journal of Retailing and Consumer Services, Vol. 3 No.3, pp.163-74. Buhr, N. (1998), “Environmental performance, legislation and annual report disclosure: the case of acid rain and Falconbridge”, Accounting, Auditing & Accountability Journal, Vol. 11 No.2, pp.163-90. Burdett, J. (1994), “Australian women in banking”, Women in Management Review, Vol. 9 No.1, pp.21-6. Burton, D. (1990), “Competition in the UK retail financial services industry”, Service Industries Journal, Vol. 10 No.3, pp.571-89. Burton, D. (1991), “Tellers into sellers”, International Journal of Bank Marketing, Vol. 9 No.6, pp.25-9. Caploe, D. (2010), “What is political economy?”, Economy Watch, available at: www.economywatch.com/political-economy, . Caruthers, B.C., Espeland, W.N. (1991), “Accounting for rationality: double-entry bookkeeping and the rhetoric of economic rationality”, The American Journal of Sociology, Vol. 97 No.1, pp.31-69. Christensen, M. (2007), “How do external changes in a community and internal reorganisation influence employees? A study of local health and labour administration services”, International Journal of Risk Assessment and Management, Vol. 7 No.2, pp.180-8. Chua, W.F. (1986), “Radical developments in accounting thought”, The Accounting Review, Vol. LXI No.4, pp.601-32. Clarkson, M.B.E. (1995), “A Stakeholder framework for analysing and evaluating corporate social performance”, The Academy of Management Review, Vol. 20 No.1, pp.92-117. Commission of the European Communities (2001), “Green Paper: promoting a European framework for corporate social responsibility”, COM(2001) 366 final, Commission of the European Communities, Brussels, . Committee of London Clearing Bankers (1977), The London Clearing Banks: Evidence by the Committee of London Clearing Bankers to the Committee to Review the Functioning of Financial Institutions, Committee of London Clearing Bankers, London, . Cooper, D. (1980), “Discussion of towards a political economy of accounting”, Accounting, Organizations and Society, Vol. 5 No.1, pp.161-6. Cooper, D.J., Sherer, M.J. (1984), “The value of corporate accounting reports: arguments for a political economy of accounting”, Accounting, Organizations and Society, Vol. 4 No.4, pp.207-32. Craig, R., Amernic, J. (2004), “The deployment of accounting-related rhetoric in the prelude to a privatization”, Accounting, Auditing & Accountability Journal, Vol. 17 No.1, pp.41-58. Cressey, P., Scott, P. (1992), “Employment, technology and industrial relations in the UK clearing banks: is the honeymoon over?”, New Technology, Work and Employment, Vol. 7 No.2, pp.83-96. Crompton, R. (1987), “Gender and accountancy: a response to Tinker and Neimark”, Accounting, Organizations and Society, Vol. 12 No.1, pp.103-10. Crompton, R. (1989), “Women in banking: continuity and change since the Second World War”, Work, Employment and Society, Vol. 3 No.2, pp.141-56. Crompton, R., Jones, G. (1984), White-collar Proletariat: Deskilling and Gender in Clerical Work, Macmillan Press, London, . Crompton, R., Sanderson, K. (1990), Gendered Jobs and Social Change, Unwin Hyman, London, . Crompton, R., Sanderson, K. (1994), “The gendered restructuring of employment in the finance sector”, in MacEwan Scott, A. (Eds),Gender Segregation and Social Change: Men and Women in Changing Labour Markets, Oxford University Press, Oxford, . Crotty, M. (1998), The Foundations of Social Research: Meaning and Perspective in the Research Process, Allen & Unwin, Sydney, . CSRwire (2009), “About our corporate social responsibility professionals”, available at: www.csrwire.com/about (accessed 7 September 2009), . Day, R., Woodward, T. (2004), “Disclosure of information about employees in the Directors’ Report of UK published financial statements: substantive or symbolic”, Accounting Forum, Vol. 28 pp.43-59. Deegan, C. (2006), “Legitimacy theory”, in Hoque, Z. (Eds),Methodological Issues in Accounting Research: Theories and Methods, Spiramus Press, London, pp.161-82. Dhir, K. (2006), “Corporate communication through nonviolent rhetoric”, Corporate Communications: An International Journal, Vol. 11 No.3, pp.249-66. Donaldson, T., Preston, L.E. (1995), “The stakeholder theory of the corporation: concepts, evidence and implications”, The Academy of Management Review, Vol. 20 No.1, pp.65-91. Douglas, A., Doris, J., Johnson, B. (2004), “Corporate social reporting in Irish financial institutions”, The TQM Magazine, Vol. 16 No.6, pp.387-95. Dowling, J., Pfeffer, J. (1975), “Organizational legitimacy: social values and organizational behaviour”, Pacific Sociological Review, Vol. 18 No.1, pp.122-36. Durkin, M., Bennett, H. (1999), “Employee commitment in retail banking: identifying and exploring hidden dangers”, International Journal of Bank Marketing, Vol. 17 No.3, pp.124-34. Enquist, B., Johnson, M., Skalen, P. (2006), “Adoption of corporate social responsibility – incorporating a stakeholder perspective”, Qualitative Research in Accounting and Management, Vol. 3 No.3, pp.188-207. Estis, R. (2006), “Nine best practices for gen Y: they’re always preparing for the next job”, available at: www.nasrecruitment.com/MicroSites/employmentbranding/articles /pdf/Ryan_EREnet.pdf, (accessed 7 September 2009), . European Commission (2002), “Commission welcomes the conclusions of the High-level group on the future of industrial relations”, European Commission, available at: http://ec.europa.eu/employment_social/news/2002/mar/044_en.html, (accessed 7 September 2009), . Evan, W.M., Freeman, R.E. (1988), “A stakeholder theory of the modern corporation: Kantian capitalism”, in Beauchamp, T.L., Bowie, N.E. (Eds),Ethical Theory and Business, 3rd ed., Prentice Hall, Englewood Cliffs, NJ, pp.97-105. Evans, E.J. (1997), Thatcher and Thatcherism, Routledge, London, . Ferrie, J.E., Shipley, M.J., Marmot, M.G., Stansfeld, S., Smith, G.D. (1998), “The health effects of major organisational change and job insecurity”, Social Science and Medicine, Vol. 46 No.2, pp.243-54. Foo, S.L., Tan, M.S. (1988), “A comparative study of social responsibility reporting in Malaysia and Singapore”, Singapore Accountant, No.August, pp.12-15. Francis, M. (2010), “Cameron and the renewal of the ‘property-owning democracy’”, History and Policy: Connecting Historians, Policy Makers and the Media, 26 February, available at: www.historyandpolicy.org/opinion/opinion_25.html (accessed 25 August 2010), . Freeman, R.E. (1984), Strategic Management: A Stakeholder Approach, Pitman, Boston, MA, . Freeman, R.E. (1994), “The politics of stakeholder theory: some future directions”, Business Ethics Quarterly, Vol. 4 pp.409-21. Freeman, R.E., Wicks, A.C., Parmar, B. (2004), “Stakeholder theory and ‘the corporate objective revisited’”, Organization Science, Vol. 15 No.3, pp.364-9. Gall, G. (1993), “Industrial relations in UK clearing banks: a comment on Cressey and Scott”, New Technology, Work and Employment, Vol. 8 No.1, pp.67-73. Gardiner, J. (1983), “Women, recession and the Tories”, in Hall, S., Jaques, M. (Eds),The Politics of Thatcherism, Lawrence and Wishart, London, . Gerring, J. (2007), Case Study Research: Principles and Practices, Cambridge University Press, Cambridge, . Global Reporting Initiative (2006), Reporting Guidelines, Global Reporting Initiative, Amsterdam, (G3 Guidelines), . Goodman, R. (1980), “Annual reports serving a dual marketing function-report of a survey”, Public Relations Quarterly, No.Summer, pp.21-4. Gowler, D., Legge, K. (1986), “Images of employees in company reports – do company chairmen view their most valuable asset as valuable”, Personnel Review, Vol. 15 No.5, pp.9-18. Gray, R.H., Kouhy, R., Lavers, S. (1995), “Corporate social and environmental reporting”, Accounting, Auditing & Accountability Journal, Vol. 8 No.2, pp.47-77. Guba, E.G., Lincoln, Y.S. (1994), “Competing paradigms in qualitative research”, in Denzin, N.K., Lincoln, Y.S. (Eds),Handbook of Qualitative Research, Sage, London, pp.105-17. Guthrie, J., Matthews, M.R. (1985), “Corporate social reporting in Australasia”, Research in Corporate Social Performance and Policy, Vol. 7 pp.251-77. Guthrie, J., Parker, L.D. (1989), “Corporate social reporting: a rebuttal of legitimacy theory”, Accounting and Business Research, Vol. 19 No.76, pp.343-52. Guthrie, J., Parker, L.D. (1990), “Corporate social disclosure practice: a comparative international analysis”, Advances in Public Interest Accounting, Vol. 3 pp.159-75. Hackston, D., Milne, M.J. (1996), “Some determinants of social and environmental disclosures in New Zealand”, Accounting, Auditing & Accountability Journal, Vol. 9 No.1, pp.77-108. Halford, S., Savage, M. (1995), “Restructuring organisations, changing people: gender and restructuring in banking and local government”, Work, Employment and Society, Vol. 9 No.1, pp.97-122. Hamid, F.Z.A. (2004), “Corporate social disclosure by banks and finance companies: Malaysian evidence”, Corporate Ownership and Control, Vol. 1 No.4, pp.118-30. Handy, C. (1998), The Hungry Spirit, Broadway Books, New York, NY. Hill, J. (1998), “Public beginnings, private ends – should corporate law privilege the interests of shareholders?”, Australian Journal of Corporate Law, Vol. 9 No.1, pp.1-18. Hines, R. (1988), “Financial accounting: in communicating reality we construct reality”, Accounting, Organizations and Society, Vol. 13 No.3, pp.251-61. Hochschild, A. (1997), The Time Bind: When Work Becomes Home and Home Becomes Work, Metropolitan Books, New York, NY, . Holden, L. (1999), “The perception gap in employee empowerment: a comparative study of banks in Sweden and Britain”, Personnel Review, Vol. 28 No.3, pp.222-41. Hooks, J., Coy, D., Davey, H. (2002), “The information gap in annual reports”, Accounting, Auditing & Accountability Journal, Vol. 15 No.4, pp.501-22. Howcroft, B. (1993), “Staff perceptions of service quality in a UK clearing bank: some empirical findings”, International Journal of Service Industry Management, Vol. 4 No.4, pp.5-24. Howcroft, J. (1988), “The evolution of retail banking in the UK”, research paper, Loughborough University Banking Centre, Loughborough. Hudson, M. (2002), “Flexibility and the Reorganisation of work”, in Burchell, B., Ladipo, D., Wilkinson, F. (Eds),Job Insecurity and Work Intensification, Routledge, London. Hughes, M. (1995), “The poetry of bank management”, paper presented at British Academy of Management Annual Conference, Sheffield, 11-13 September. Institute of Social and Ethical AccountAbility (1999), “Accountability 1000 (AA1000): a foundation standard in social and ethical accounting, auditing and reporting”, ISEA, London. Institute of Social and Ethical AccountAbility (2008a), “AA1000 ‘AccountAbility Principles Standard (2008)’”, available at: www.Accountability21.net/aa1000aps (accessed 7 September 2009). Institute of Social and Ethical AccountAbility (2008b), “AA 1000 stakeholder engagement standard revision process”, available at: www.accountabilityaa1000wiki.net/index.php/AA1000_ AccountAbility_Principles (accessed 7 September 2009). Institute of Social and Ethical AccountAbility (2008c), “Introduction to the revised AA1000AS & AA1000APS 2008”, available at: www.accountability21.net/default.aspx?id=3078 (accessed 7 September 2009). Jameson, D.A. (2000), “Telling the investment story: a narrative analysis of shareholder reports”, The Journal of Business Communication, Vol. 37 No.1, pp.7-38. Jones, T.M. (1995), “Instrumental stakeholder theory: a synthesis of ethics and economics”, Academy of Management Review, Vol. 20 pp.404-37. Jones, T.M., Wicks, A.C. (1999), “Convergent stakeholder theory”, The Academy of Management Review, Vol. 24 No.2, pp.206-21. Junor, A., Barlow, K., Patterson, M. (1993), Service Productivity: Part-time Women Workers and the Finance Sector Workplace, AGPS, Department of Industrial Relations, Canberra, Research Series No. 5, . Kets de Vries, M.F.R., Balazs, K. (1997), “The downside of downsizing”, Human Relations, Vol. 50 No.1, pp.11-50. King, M.E. (2002), King Report on Corporate Governance for South Africa – 2002 (King Report II), King Committee on Corporate Governance, Institute of Directors in South Africa, . Klamer, A., McCloskey, D. (1991), “Accounting as a master metaphor of economics”, European Accounting Review, Vol. 1 No.1, pp.145-60. Kramar, R. (1998), “Flexibility in Australia: implications for employees and managers”, Employee Relations, Vol. 20 No.5, pp.453-60. Leyshon, A., Thrift, N. (1993), “The restructuring of the U.K. financial services industry in the 1990s: a reversal of fortune”, Journal of Rural Studies, Vol. 9 No.3, pp.223-41. Lindblom, C.K. (2004), “The implications of organizational legitimacy for corporate social performance and disclosure”, paper presented at Critical Perspectives Conference, New York, NY. Lipsey, R.G., Harbury, C. (1992), First Principles of Economics, 2nd ed., Weidenfield and Nicholson, London. Littlefield, D. (1995), “‘Barclays accused of bullying tactics’ and ‘Banking futures depend on staff employability’”, People Management, Vol. 1 No.21, pp.7-15. Livesey, S.M. (2002), “The discourse of the middle ground: Citizen Shell commits to sustainable development”, Management Communication Quarterly, Vol. 15 No.3, pp.313-49. McCausland, W.D., Pouliakas, K., Theodossiou, I. (2005), “Some are punished and some are rewarded: a study of the impact of performance pay on job satisfaction”, International Journal of Manpower, Vol. 26 No.7/8, pp.636-59. McCrindle, M. (2006), “New generations at work: attracting, recruiting, retraining and training generation Y”, McCrindle Research, available at: www.mccrindle.com.au/wp_pdf/NewGenerationsAtWorkHighRes.pdf (accessed 7 September 2009). McCrindle, M. (2007), “Bridging the gap: an employers guide to managing and retaining a new generation of apprentices and trainees”, available at: www.mccrindle.com.au/wp_pdf/BridgingTheGap_Employers.pdf (accessed 7 September 2009). McLean, C. (2006), “Generation Y skill gaps: the impact on performance”, Workforce Performance Solutions: The Business of Talent Management, March 14, available at: www.wpsmag.com/content/templates/wps_article.asp?articleid=430&zoneid=53. Marchington, M., Wilkinson, A. (2000), “Direct participation”, in Bach, S., Sisson, K. (Eds),Personnel Management: A Comprehensive Guide to Theory and Practice, 3rd ed., Blackwell, Oxford, pp.340-64. Markey, R., Hodgkinson, A., Kowalczyk, J. (2002), “Gender, part-time employment and employee participation in Australian workplaces”, Employee Relations, Vol. 24 No.2, pp.129-50. Mills, L. (1992), “Jobs: what is to be done?”, Banking World, No.May, pp.10. Minocha, S. (2009), “The language of legitimation: the narrative of reputation management within corporate disclosures”, Critical Perspectives on Accounting, Vol. 20 No.2, pp.289-91. Morris, T. (1986), Innovations in Banking: Business Strategies and Employee Relations, Croom Helm, London. Mouck, T. (1992), “The rhetoric of science and the rhetoric of revolt in the ‘story’ of positive accounting theory”, Accounting, Auditing & Accountability Journal, Vol. 5 No.4, pp.35-56. NatWest (1980), Annual Reports and Accounts, National Westminster Bank, London. NatWest (1981), Annual Reports and Accounts, National Westminster Bank, London. NatWest (1982), Annual Reports and Accounts, National Westminster Bank, London. NatWest (1983), Annual Reports and Accounts, National Westminster Bank, London. NatWest (1984), Annual Reports and Accounts, National Westminster Bank, London. NatWest (1985), Annual Reports and Accounts, National Westminster Bank, London. NatWest (1986), Annual Reports and Accounts, National Westminster Bank, London. NatWest (1987), Annual Reports and Accounts, National Westminster Bank, London. NatWest (1988), Annual Reports and Accounts, National Westminster Bank, London. NatWest (1989), Annual Reports and Accounts, National Westminster Bank, London. NatWest (1990), Annual Reports and Accounts, National Westminster Bank, London. NatWest (1991), Annual Reports and Accounts, National Westminster Bank, London. NatWest (1992), Annual Reports and Accounts, National Westminster Bank, London. NatWest (1993), Annual Reports and Accounts, National Westminster Bank, London. NatWest (1994), Annual Reports and Accounts, National Westminster Bank, London. Neu, D., Warsame, H., Pedwell, K. (1998), “Managing public impressions: environmental disclosures in annual reports”, Accounting, Organizations and Society, Vol. 23 No.3, pp.265-82. Nevin, E., Davis, E.W. (1979), The London Clearing Banks, Elek, London. O’Dwyer, B. (2002), “Managerial perceptions of corporate social disclosure”, Accounting, Auditing & Accountability Journal, Vol. 15 No.3, pp.406-36. O’Reilly, J. (1994), Banking on Flexibility: A Comparison of Flexible Employment in Retail Banking in Britain and France, Avebury, Aldershot. Organisation for Economic Co-operation and Development (OECD) (2004), OECD Principles of Corporate Governance, OECD, Paris, . Owen, D.L. (2008), “Chronicles of wasted time? A personal reflection of the current state of, and future prospects for, social and environmental accounting research”, Accounting, Auditing & Accountability Journal, Vol. 21 No.2, pp.240-67. Owen, D.L., Swift, T., Hunt, K. (2001), “Questioning the role of stakeholder engagement in social and ethical accounting, auditing and reporting”, Accounting Forum, Vol. 25 No.3, pp.264-82. Oxford University Press (2010), “Oxford online dictionary”, Oxford University Press, Oxford, available at: http://oxforddictionaries.com, . Parker, L.D. (2005), “Social and environmental accountability research: a view from the commentary box”, Accounting, Auditing & Accountability Journal, Vol. 18 No.6, pp.842-60. Pfeffer, J. (1984), Competitive Advantage through People, Harvard Business School Press, Boston, MA. Potter, J. (1996), Representing Reality: Discourse, Rhetoric and Social Construction, Sage, London. Povall, M. (1986), “Equal opportunities for women in British banking”, Equal Opportunities International, Vol. 5 No.2, pp.27-43. Rahaman, A.S., Lawrence, S., Roper, J. (2004), “Social and environmental reporting at the VRA: institutionalised legitimacy or legitimation crisis?”, Critical Perspectives on Accounting, Vol. 15 pp.35-56. Rajan, A. (1987), “New technology and career progression in financial institutions”, Service Industries Journal, Vol. 7 No.1, pp.35-40. Ratanajongkol, S., Davey, H., Low, M. (2006), “Corporate social reporting in Thailand”, Qualitative Research in Accounting and Management, Vol. 3 No.1, pp.67-83. Reitan, E.A. (2003), The Thatcher revolution: Margaret Thatcher, John Major, Tony Blair, and the Transformation of Modern Britain, 1979-2001, Rowman & Littlefield Publishers, Lanham, MD. Roberts, C.B. (1991), “Environmental disclosures: a note on reporting practices in mainland Europe”, Accounting, Auditing & Accountability Journal, Vol. 4 No.3, pp.62-71. Roberts, R.W. (1992), “Determinants of corporate social responsibility disclosure”, Accounting, Organizations and Society, Vol. 17 No.6, pp.595-612. Robinson, O. (1985), “The changing labour market: the phenomenon of part-time employment”, National Westminster Bank Quarterly. Schnabel, A., Webster, J. (1999), Participating on Equal Terms? The Gender Dimensions of Direct Participation in Organisational Change, European Foundation for the Improvement of Living and Working Conditions, Dublin. Sheahan, P. (2005), “Focus on generation Y or lose business”, IDP Education Pty Ltd., October 4, available at: www.idp.com/about_idp/media/2005/october/focus_on_generation_y_or_lose.aspx (accessed 7 September 2009). Sheahan, P. (2007), “The connected generation”, available at: www.petersheahan.com.au/cpa/exe/exe_file_get.asp?fileName=TheConnectGeneration%282%29%2Epdf (accessed 7 September 2009). Sheridan, A., Conway, L. (2001), “Workplace flexibility: reconciling the needs of employers and employees”, Women in Management Review, Vol. 16 No.1, pp.5-11. Shocker, A., Sethi, S.P. (1974), “An approach to incorporating social preferences in developing corporate action strategies”, in Sethi, A.D. (Eds),The Unstable Ground: Corporate Social Policy in a Dynamic Society, Melville Publishing, Los Angeles, CA, pp.67-80. Sikka, P. (2008), “Corporate governance: what about the workers?”, Accounting, Auditing and Accountability, Vol. 21 No.7, pp.955-77. Simms, J. (2002), “Business: Corporate social responsibility – you know it makes sense”, Accountancy, Vol. 130 No.1311, pp.48-50. Sinden, A. (1996), “The decline, flexibility and geographical restructuring of employment in British retail banks”, The Geographical Journal, Vol. 162 No.1, pp.25-40. Solomon, R.C. (1992), Ethics and Excellence: Cooperation and Integrity, Oxford University Press, Oxford, . Solomon, R.C. (1993), “Corporate roles, personal virtues: an Aristotelian approach to business ethics”, in Winkler, E., Coombs, J. (Eds),Applied Ethics: A Reader, Oxford, Blackwell. Sparrow, P.R. (1996), “Transitions in the psychological contract: some evidence from the banking sector”, Human Resource Management Journal, Vol. 6 No.4, pp.75-92. Stoney, C., Winstanley, D. (2001), “Stakeholding: Confusion or utopia? Mapping the conceptual terrain”, Journal of Management Studies, Vol. 38 No.July, pp.604-26. Storey, J. (1995), “Employment policies and practices in UK clearing banks: an overview”, Human Resource Management Journal, Vol. 5 No.4, pp.24-53. Storey, J., Cressey, P., Morris, T., Wilkinson, A. (1997), “Changing employment practices in UK banking: case studies”, Personnel Review, Vol. 26 No.1/2, pp.24-42. Strachan, G., Burgess, J. (2000), “The incompatibility of decentralized bargaining and equal opportunity in Australia”, British Journal of Industrial Relations, Vol. 38 No.3, pp.361-81. Suchman, M.C. (1995), “Managing legitimacy: strategic and institutional approaches”, The Academy of Management Review, Vol. 20 No.3, pp.571-610. Summers, C.W. (1982), “Codetermination in the Unites States: a projection of problems and potentials”, Journal of Comparative Corporate Law and Securities Regulation, Vol. 4 pp.155-91. Thomas, J. (1997), “Discourse in the marketplace: the making of meaning in annual reports”, The Journal of Business Communication, Vol. 34 No.1, pp.47-66. Tinker, A.M., Neimark, M. (1987), “The role of annual reports in gender and class contradictions at General Motors: 1917-1976”, Accounting, Organizations and Society, Vol. 12 pp.71-88. Tinker, A.M., Lehman, C., Neimark, M. (1991), “Corporate social reporting: falling down the hole in the middle of the road”, Accounting, Auditing & Accountability Journal, Vol. 4 No.2, pp.28-54. Townley, B. (1989), “Employee communication programmes”, in Sisson, K. (Eds),Personnel Management in Britain, Basil Blackwell, Oxford. Townley, B. (1994), “Communicating with employees”, in Sisson, K. (Eds),Personnel Management: A Comprehensive Guide to Theory and Practice in Britain, 2nd Ed., Blackwell Business, Oxford, pp.595-633. Tsang, E.W.K. (1998), “A longitudinal study of corporate social reporting in Singapore”, Accounting, Auditing & Accountability Journal, Vol. 11 No.5, pp.624-35. Turban, D.B., Greening, D.W. (1997), “Corporate social performance and organizational attractiveness to prospective employees”, Academy of Management Journal, Vol. 40 No.3, pp.658-72. Ullmann, A.E. (1985), “Data in search of a theory: a critical examination of the relationships among social performance, social disclosure and economic performance of US firms”, Academy of Management Review, Vol. 10 No.3, pp.540-57. Unerman, J. (2002), “Organisational hegemony in social disclosures to employees: a periodisation analysis of Shell’s reports to employees”, 2002 Critical Perspectives Conference Proceedings, . Unerman, J., O’Dwyer, B. (2007), “The business case for regulation of corporate social responsibility and accountability”, Accounting Forum, Vol. 31 pp.332-53. Vettori, S. (2005), “Employees as corporate governance stakeholder in South Africa”, Social Responsibility Journal, Vol. 1 No.3/4, pp.142-8. Vuontisjarvi, T. (2006), “Corporate social reporting in the European context and human resource disclosures: an analysis of Finnish companies”, Journal of Business Ethics, Vol. 69 pp.331-54. Walker, S.P. (2008), “Innovation, convergence and argument without end in accounting history”, Accounting, Auditing & Accountability Journal, Vol. 21 No.2, pp.296-322. Webster, J. (2001), “New ways of working for women: the gender dimensions of direct participation”, in Markey, R., Gollan, P., Hodgkinson, A., Chouraqui, A., Veersma, U. (Eds),Models of Employee Participation in a Changing Global Environment, Ashgate, Aldershot. White, D. (1993), “The axe cuts deeper”, Banking World, No.January, pp.11. Wilcock, J. (1994), “NatWest’s job cuts hit morale”, The Independent, January 13, pp.36. Willman, P., Morris, T., Aston, B. (1993), Union Business: Trade Union Organisation and Financial Reform in the Thatcher Years, Cambridge University Press, Cambridge. Wilson, A.M. (1992), “The adoption of a retail-oriented marketing mix for bank branch operations”, The Services Industries Journal, Vol. 12 No.3, pp.404-13. Wood, E.M. (1988), “Capitalism and human emancipation”, New Left Review, No.167, pp.3-20. Wynn-Evans, C. (2007), “Recent legislation: The Companies Act 2006 and the interests of employees”, Industrial Law Journal, Vol. 36 No.2, pp.188-93. Young, J.J. (2003), “Constructing, persuading and silencing: the rhetoric of accounting standards”, Accounting, Organizations and Society, Vol. 28 pp.621-38. Zeghal, D., Ahmed, S.A. (1990), “Comparison of social responsibility information disclosure media used by Canadian firms”, Accounting, Auditing & Accountability Journal, Vol. 3 No.1, pp.38-52. Zeytinoglu, I.U. (1994), “Part-time and other nonstandard forms of employment: why are they considered appropriate for women?”, in Niland, J., Lansbury, R.D., Verevis, C. (Eds),The Future of Industrial Relations: Global Change and Challenges, Sage Publications, Thousand Oaks, CA, pp.435-48. Zeytinoglu, I.U., Muteshi, J.K. (2000), “Gender, race and class dimensions of nonstandard work”, Relations Industrelles/Industrial Relations, Vol. 55 No.1, pp.133-67. Anderson, K., Marshall, S., Ramsay, I. 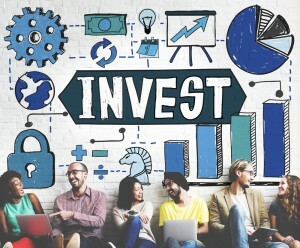 (2007), Do Australian Institutional Investors Aim to Influence the Human Resource Practices of Investee Companies, Centre for Corporate Law and Securities Regulation, The University of Melbourne, and Centre for Employment and Labour Relations Law, The University of Melbourne, Melbourne. Bartlett, S., Jones, M.J. (1997), “Annual report disclosures 1970-90: an exemplification”, Accounting, Business and Financial History, Vol. 7 No.1, pp.61-80. Brockner, J. (1988), “The effect of work layoffs on survivors: research, theory and practice”, in Staw, B.M., Cummings, L.L. (Eds),Research in Organizational Behaviour, JAI Press, Greenwich, CT, Vol. Vol. 10 pp.213-56. Elving, W.J.L. (2005), “The role of communication in organisational change”, Corporate Communications: An International Journal, Vol. 10 No.2, pp.129-38. Gray, R.H., Owen, D.L., Adams, C.A. (1996), Accounting and Accountability: Changes and Challenges in Corporate Social and Environmental Reporting, Prentice Hall International, Hemel Hempstead. Hopper, T., Powell, A. (1985), “Making sense of research into the organizational and social aspects of management accounting: a review of its underlying assumptions”, Journal of Management Studies, Vol. 22 pp.429-65. Institute of Social and Ethical AccountAbility (2007), “AA1000 series of standards”, available at: www.accountability21.net /aa1000series (accessed 7 September 2009). Morison, I. (1993), “Ten years of banking”, Banking World, Vol. 11 No.7, pp.8-9. O’Reilly, J. (1992), “Subcontracting in banking: some evidence from Britain and France”, New Technology, Work and Employment, Vol. 7 No.2, pp.107-15. United Nations Global Compact (2010), “Blueprint for corporate sustainability leadership”, The Global Compact, June, . The authors would like to thank the anonymous referees and Gordon Boyce for their helpful comments on earlier drafts of the paper.